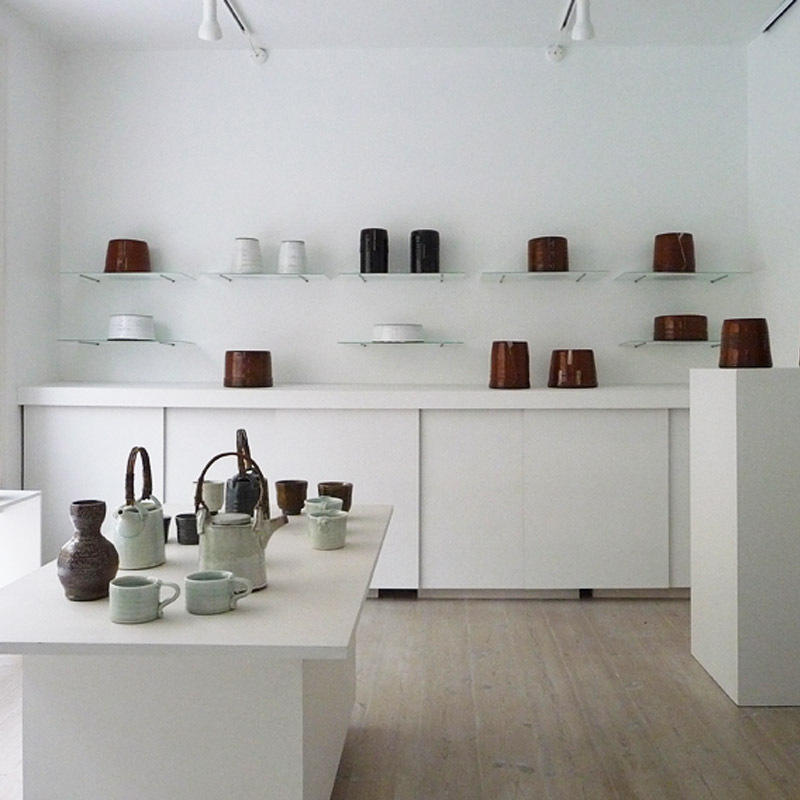 Danish ceramists meet American potters from 'Mingei-sota - Minnesota. 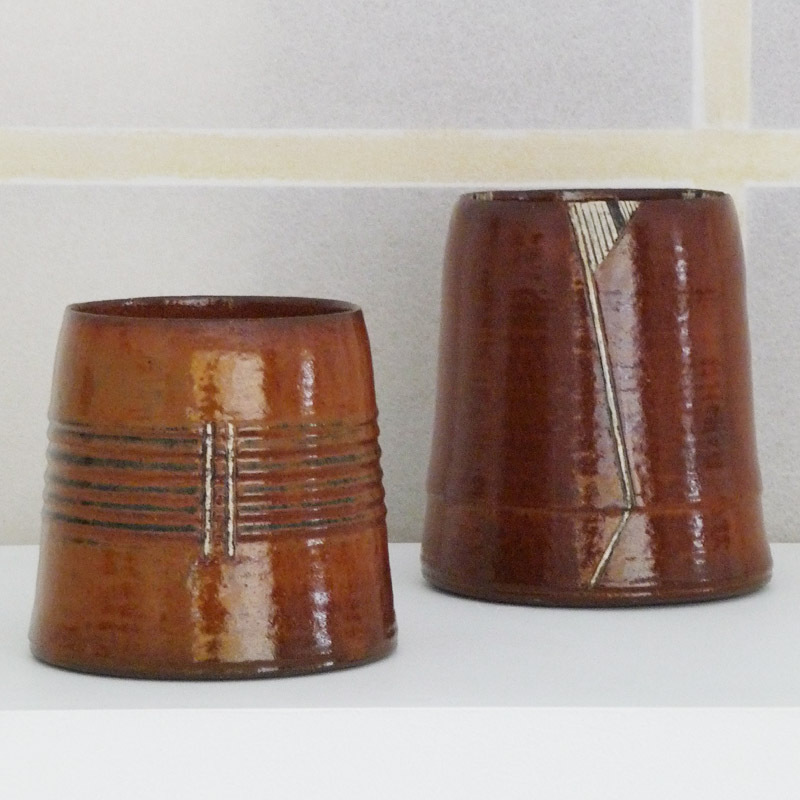 The exhibitors represent known and unknown, older and younger, differences in background, but they all work with the ideology of making traditional hand-thrown pots for daily use - 'Mingei'. 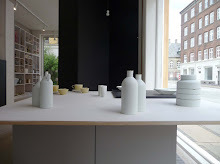 Danish Mette Augustinus Poulsen and Anne Mette Hjortshøj exhibit with the Amarican potters: Warren MacKenzie, Randy Johnston, Robert Banker, Linda Christianson, Guillermo Cuellar, Samuel Johnson, Jan McKeachie and Steven Rolf. A book about Yanagi's Japanese perception of beauty and value of anonymous everyday things, 'Mingei'. 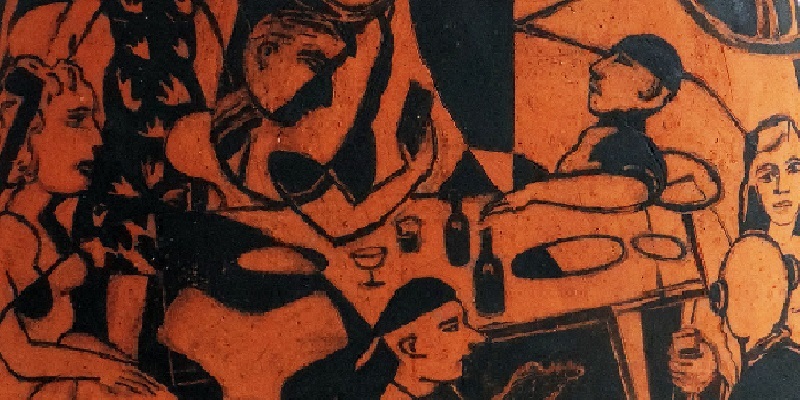 This book has for potters and admirers achieved an almost religious status. 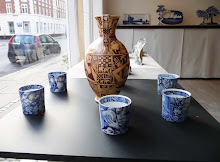 The Japanese appreciation of beauty and tradition of ceramics, travelled in the 20s with the blossoming of folk art via the philosopher Yanagi and ceramic studio of Hamada in Japan to Bernard Leach in England. In the late 40s, American Warren Mackenzie worked as assistant to Bearnard Leach and passed on the tradition to the US. He settled in Minnesota, which is still called 'Mingei-sota. The tradition is forgotten or - loved by some and oppressive to others. 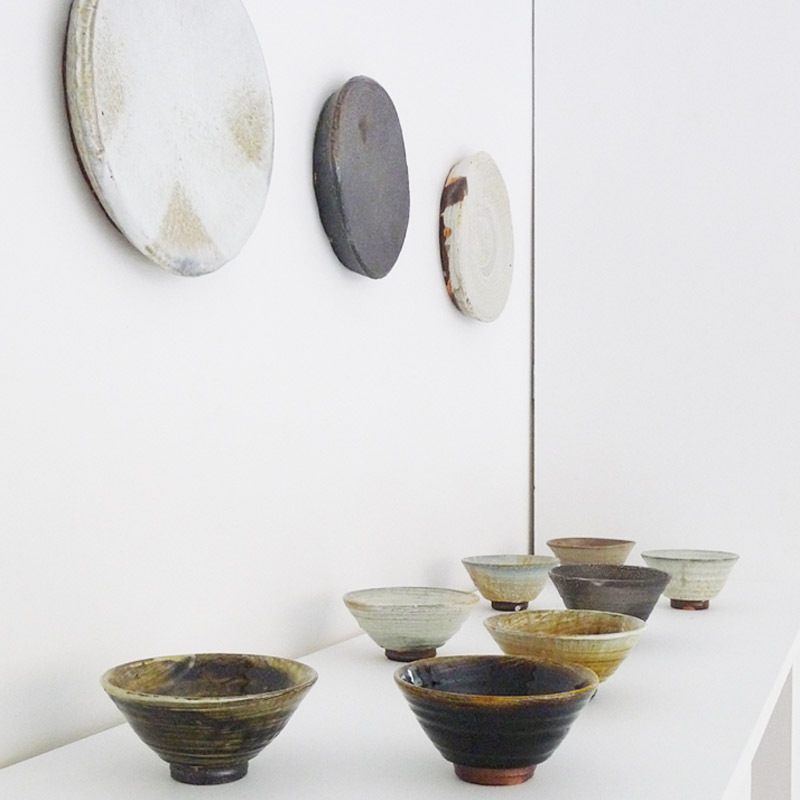 Around the world, the ceramic development has sprung from meetings between studio potters. Industrialization challenged the craftsmen, and they became fewer, poorer, - and also more valuable. 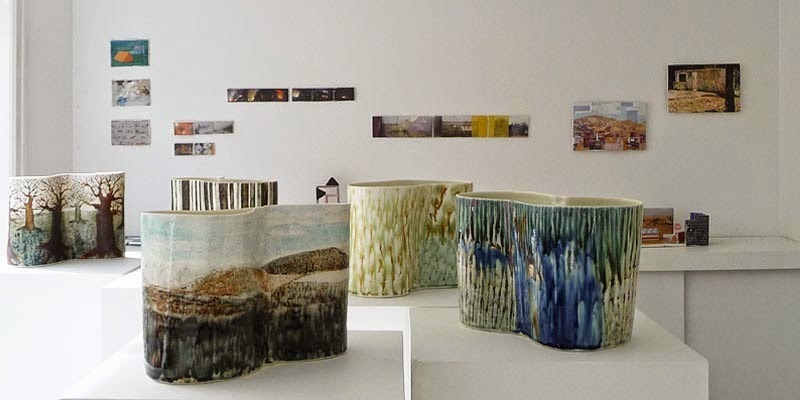 Ceramicist's mutual needs of large kilns, apprenticeships for craft experience and technical development have made them new citizens of the world. Some have maintained the tradition of craftsmanship in everyday objects that follow the past craft and function rules. Others, in various ways, have moved away from tradition, but still hold the traces and words of the old ceramic doctrines. 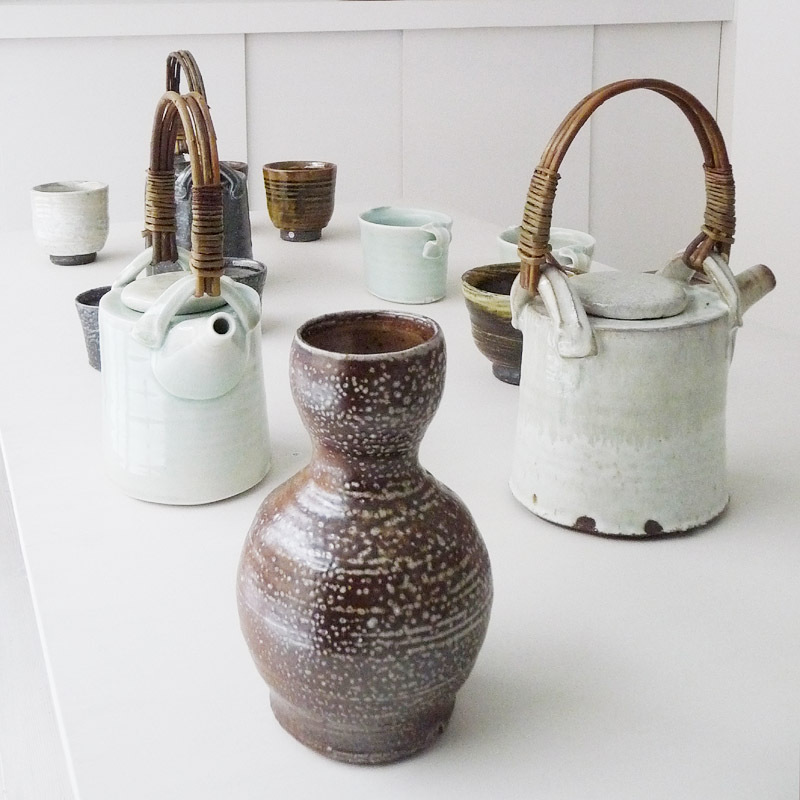 The exhibiting traditional potters represent 'the Beauty of Zen'. 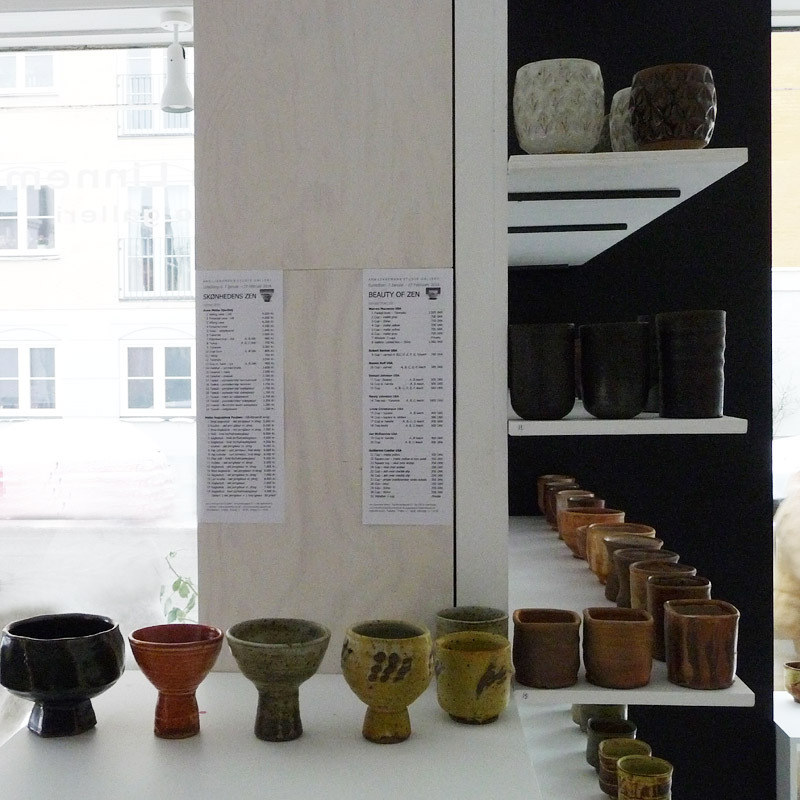 The two Danish potters exhibit a selection of their works, whereas the Americans each show a personal choice of cups. 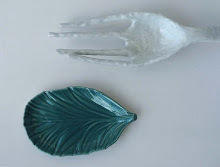 The object's texture and function set of rules are connected to the making process, malleability of clay and possibilities of hands, - both for making and holding the objects in use. It is sometimes in the finest detail, like in diversity of signatures, there is to be seen - and recognized the personality and originality of things. 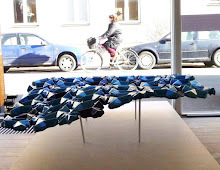 Thanks to The Danish Arts Foundation's Project Funding in 2016. 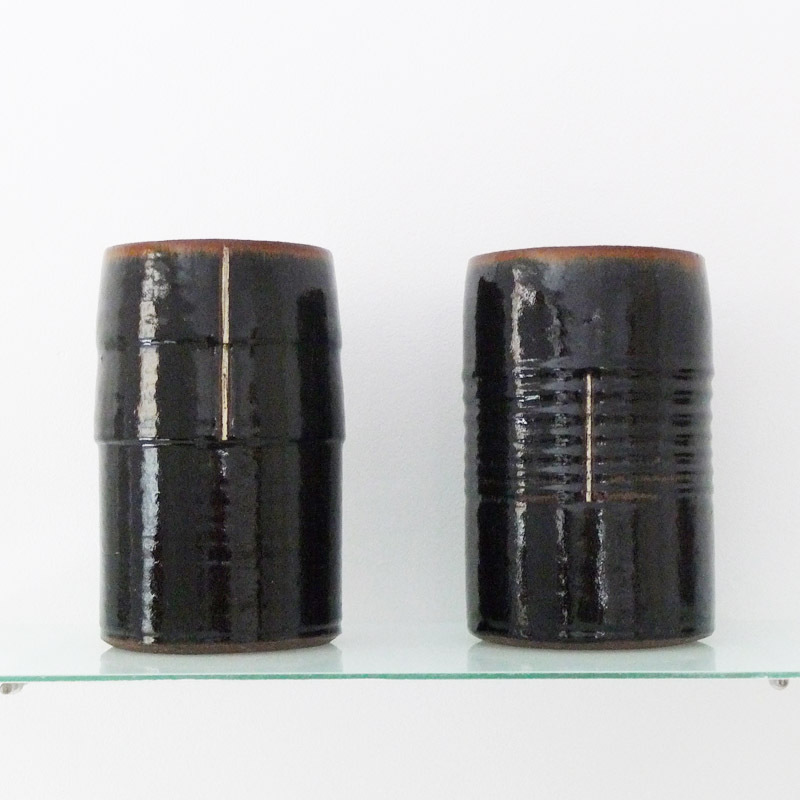 Mette Augustinus Poulsen: "They are jars that do not make a fuss. 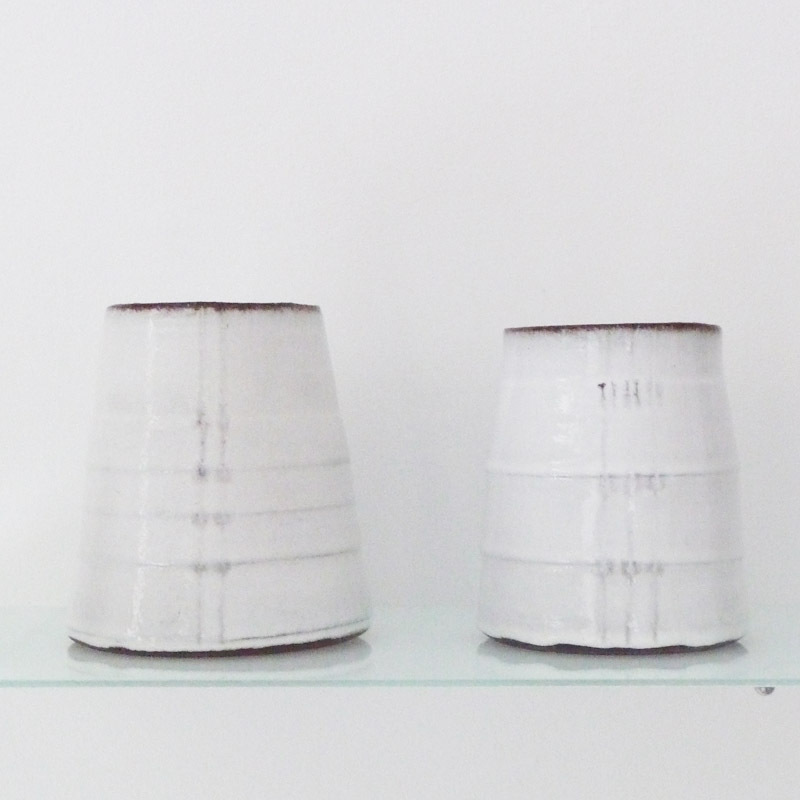 Working on the jars is continuous and for the exhibition they are selected after the last firing. 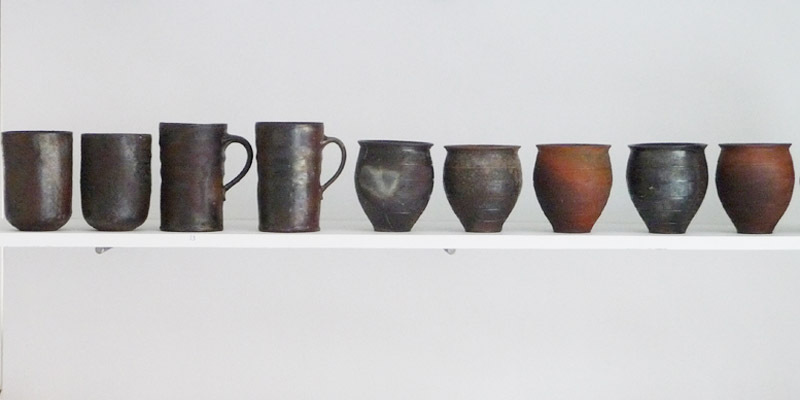 The pots are thrown in sandy West Jutland red clay and fired at 1160 Celsius, that is something in between ordinary red clay (melts at 1060 degrees) and stoneware fired somewhat higher. They are reduced (firing with lack of oxygen) with the help of wooden sticks in an electric kiln. 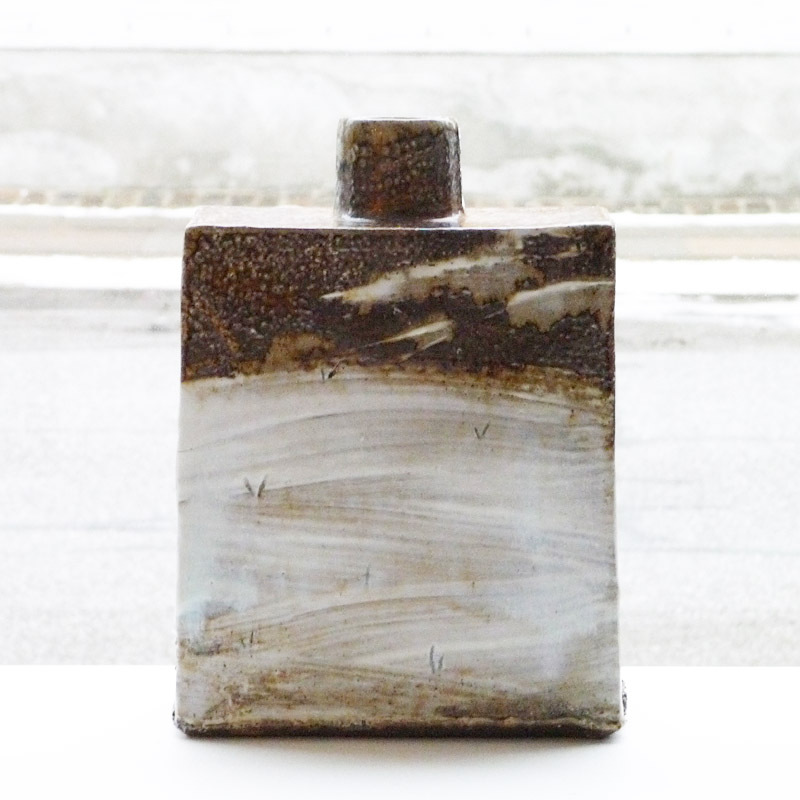 The reduction means a lot to both glazes and clay. 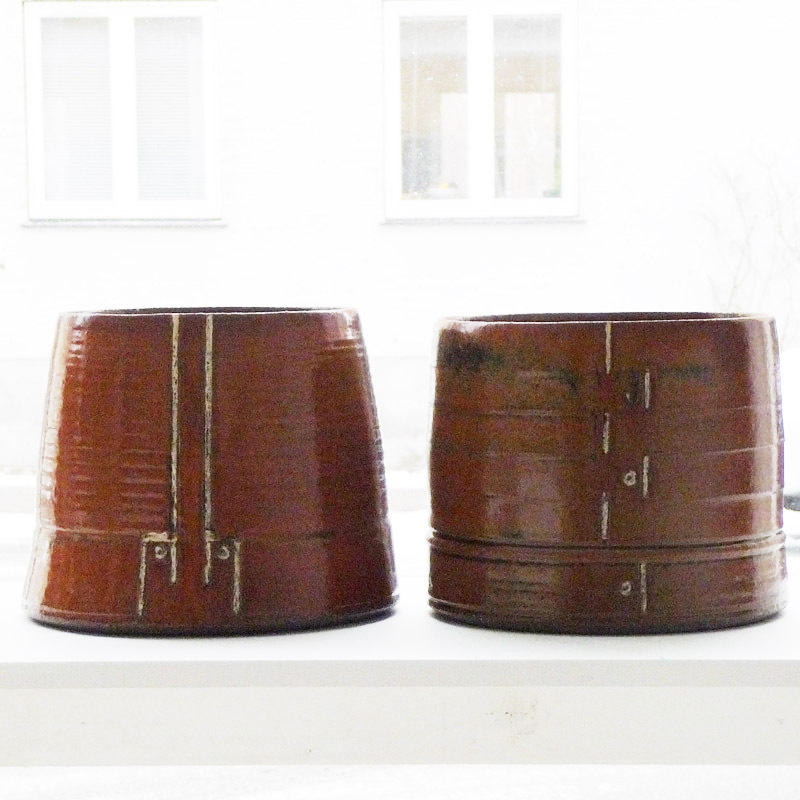 I am inspired by the city, the harbour, nature and of cooperage." 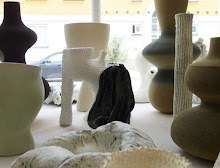 Anne Mette Hjortshøj: "I work as a potter and look more backward than forward in getting the pieces to make sense from one firing to the next.. The marvels of details, texture and balance between form, surface and function are apparently a 'never ending' addiction. - The need to cut elements and preserve the essence of a story, where the balance between nature, culture, geology and mystery are the key elements, - is the goal. However, I must admit that I am most of all just trying to make beautiful things in a beautiful tradition. I am happy when it occasionally succeeds. 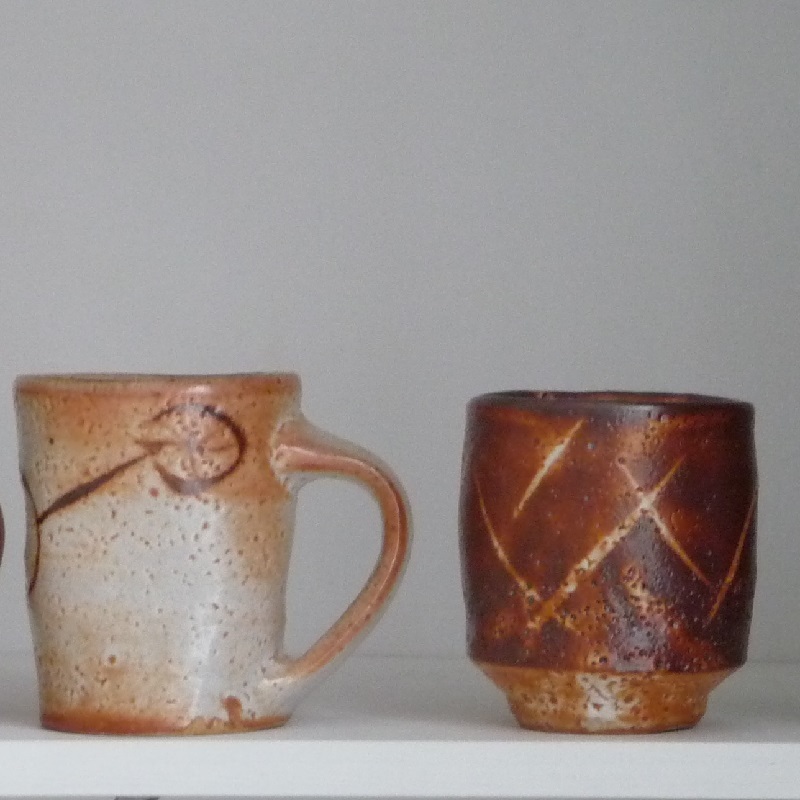 I had during the previous 10 years only worked with salt glazing. Since we built the two-chamber kiln - by now almost five years ago, the challenge has been to learn what the two chambers have been able to add. 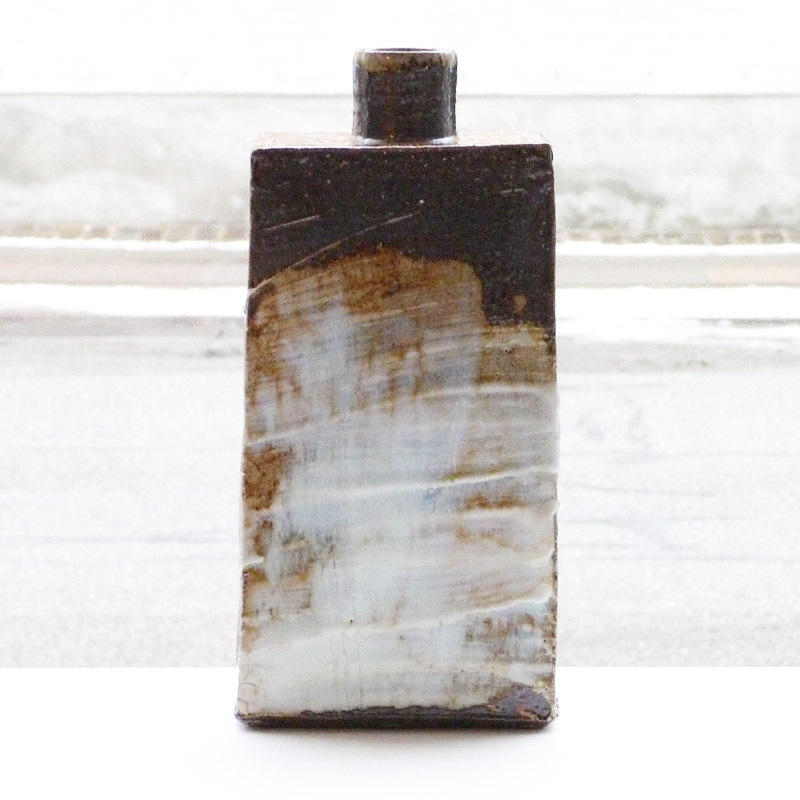 In one chamber of the kiln, in which I work with glazes, I have used the opportunity to work with different Bornholm types of clay and other local raw materials, like quartz, feldspar and ashes. It is a difficult process, but leaves precisely these nuances. 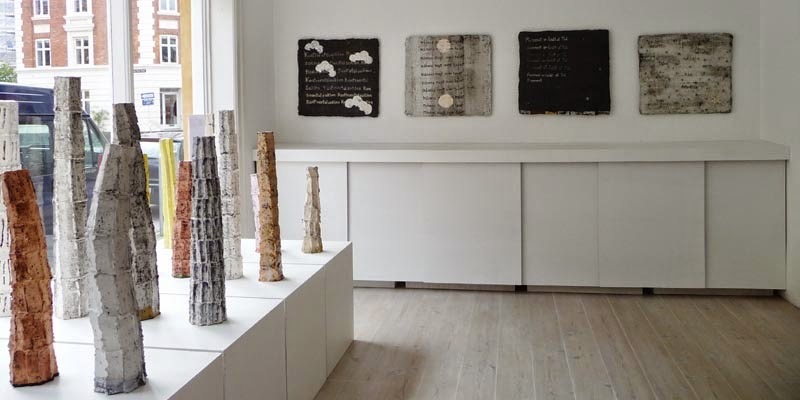 The pieces in this exhibition are the result of five years of work and many failed firings and a lot of new knowledge about the Bornholm 'underground'. 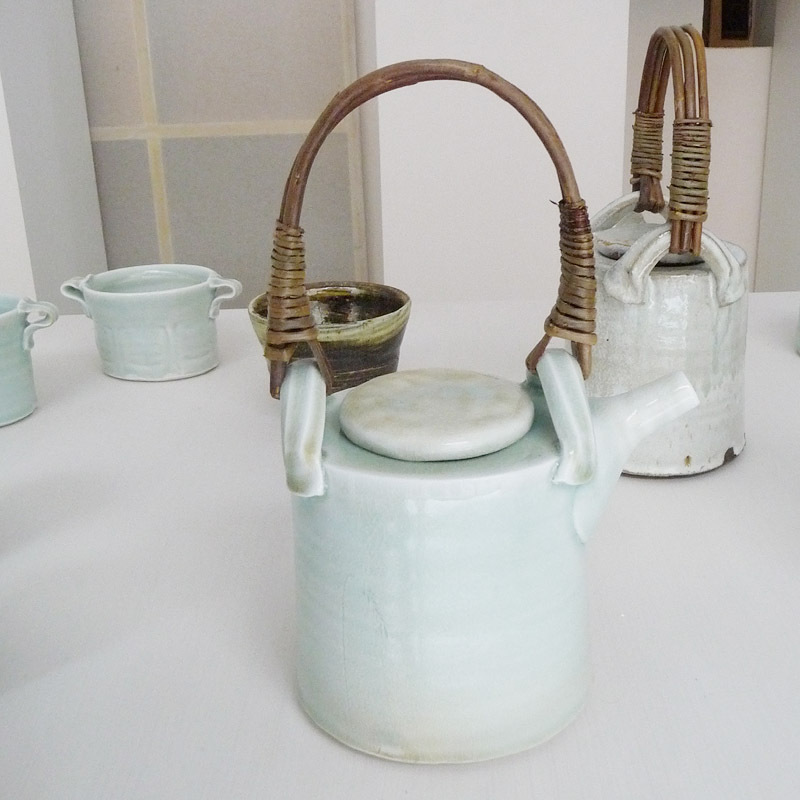 It is functional ceramics, wood-fired stoneware and porcelain. 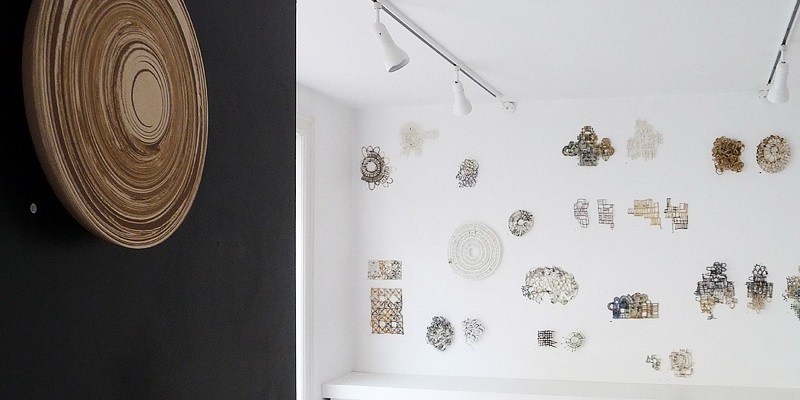 I work primarily on the wheel, but often with thrown elements that I subsequently assemble into new shapes. 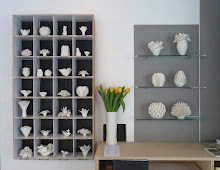 Some major pieces are pressed in plaster moulds or modelled. 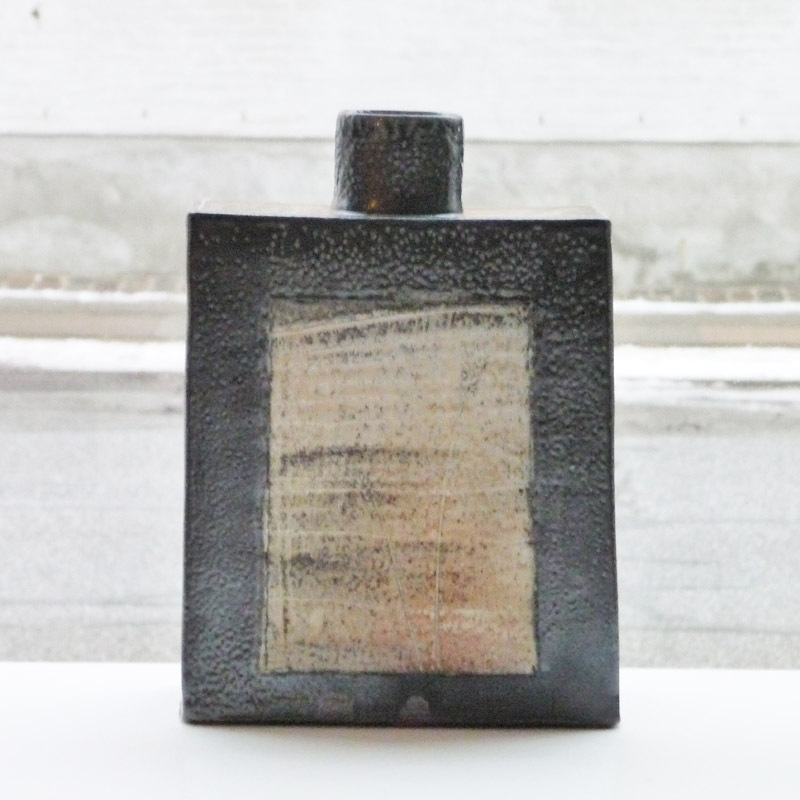 I use a few glazes, typically made of local Bornholm raw materials, but have a relatively large variation of surfaces by creating works in a large palette of types of clay under the same glaze." Born in 1924, Kansas City Missouri. Educated at Chicago Art Institute 1942-46. Went to Japan right after World War II. 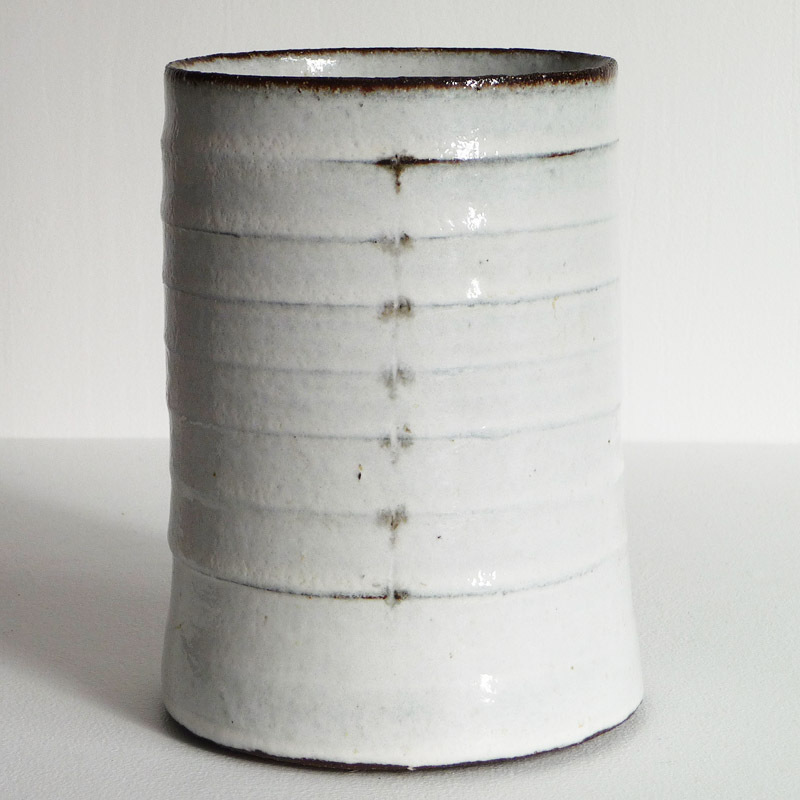 Worked at Bearnard Leach Pottery two ½ years. 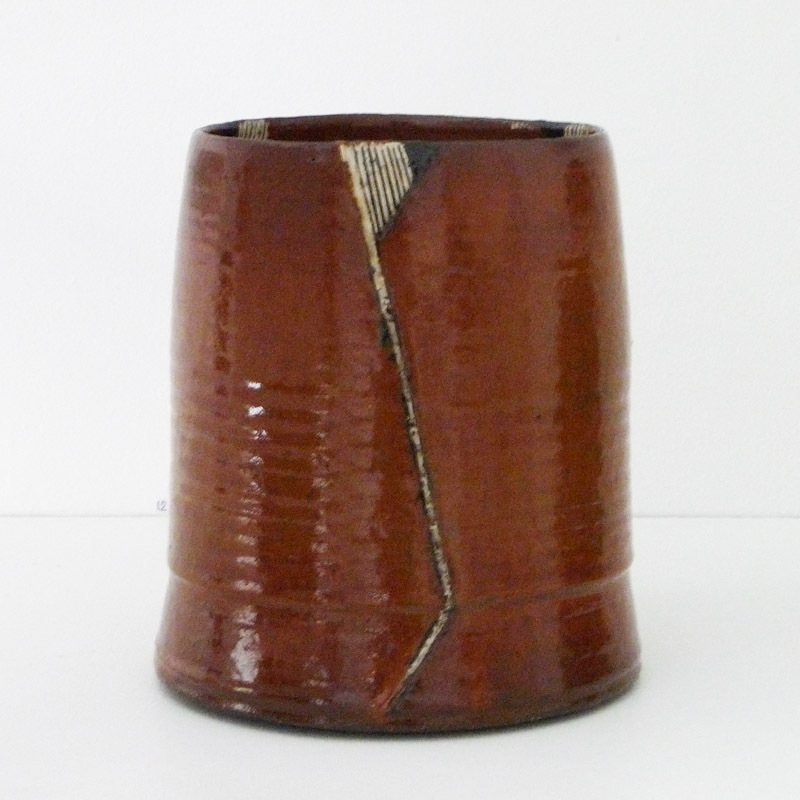 Publication: Warren MacKenzie American Potter. Published by Kodansha International Ltd. 1991. Warren MacKenzie (b. 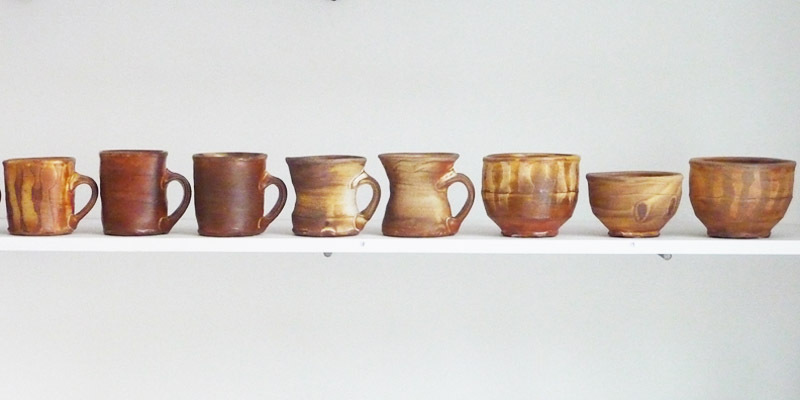 1924) is a North American craft potter still working in his studio in Minnesota. 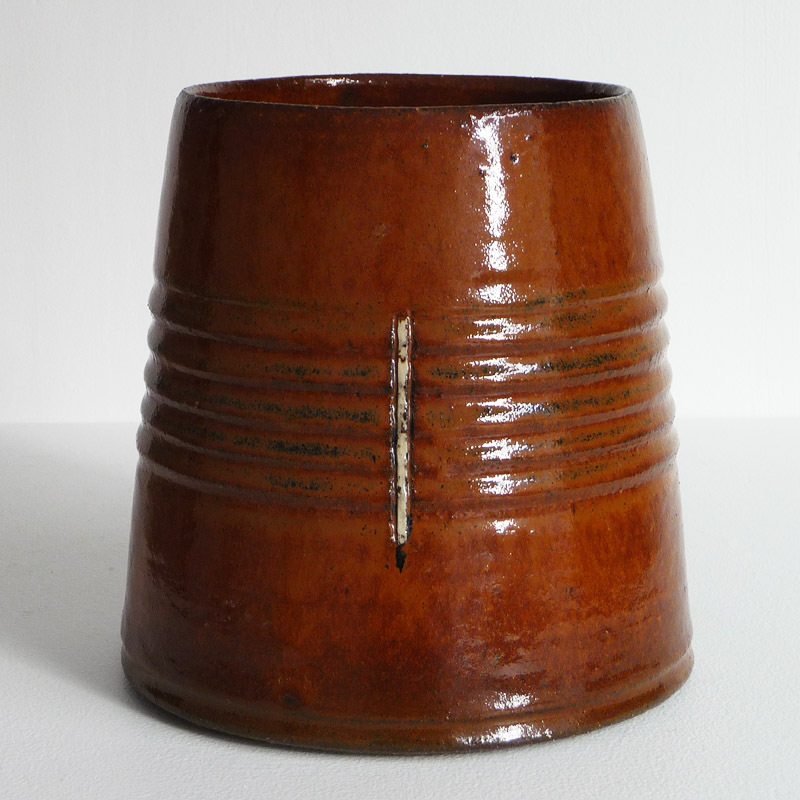 MacKenzie studied and worked with Bernard Leach from 1949 to 1952. 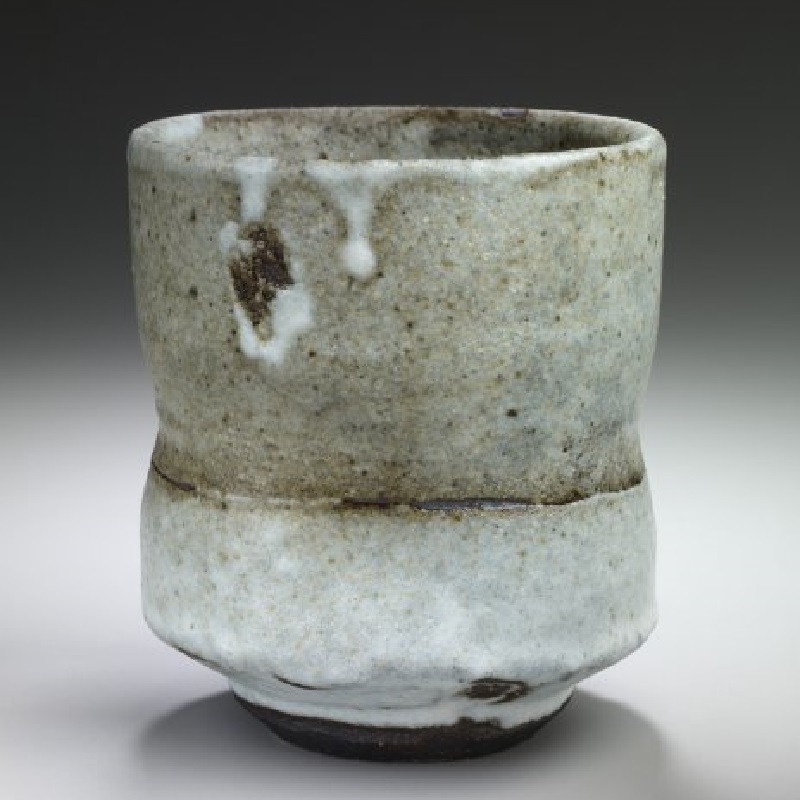 He is highly influenced by the oriental aesthetic of Soetsu (Muneyoshi) Yanagi (1889-1961), Shoji Hamada and Korean ceramics, - credited with bringing the Japanese Mingei style of pottery to Minnesota, fondly referred to as the "Mingei-sota style. MacKenzie has described his goal as the making of 'everyday' pots. 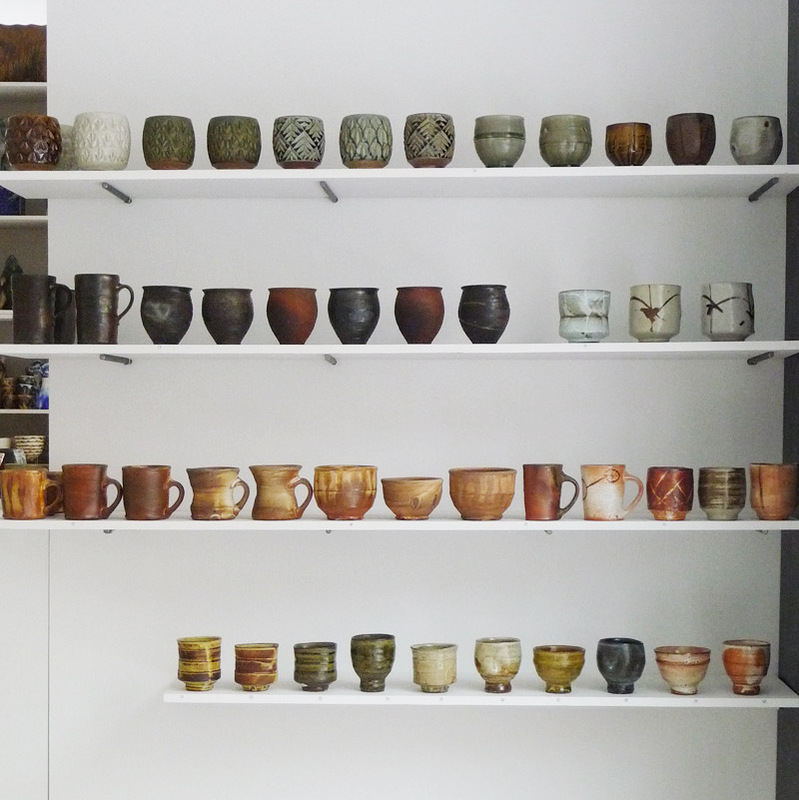 His pots are found in major museums and command high prices among collectors. 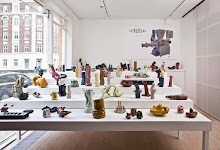 Most of his work is made in stoneware, although he has worked in porcelain at times during his career. MacKenzie is well known as a teacher. Since 1952 he taught at the University of Minnesota, where he is a Regents' professor emeritus. 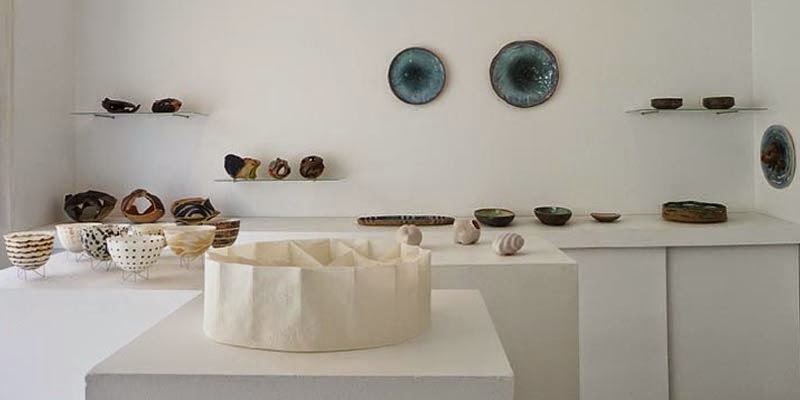 His students have included Randy Johnston, Mike Norman, Jeff Oestreich, Wayne Branum, Mark Pharis, Shirley Johnson..
Robert Banker: “My wheel thrown pieces are carved with traditional chip carving methods usually associated with wooden objects. The textures are experienced with your fingers as well as your eyes. 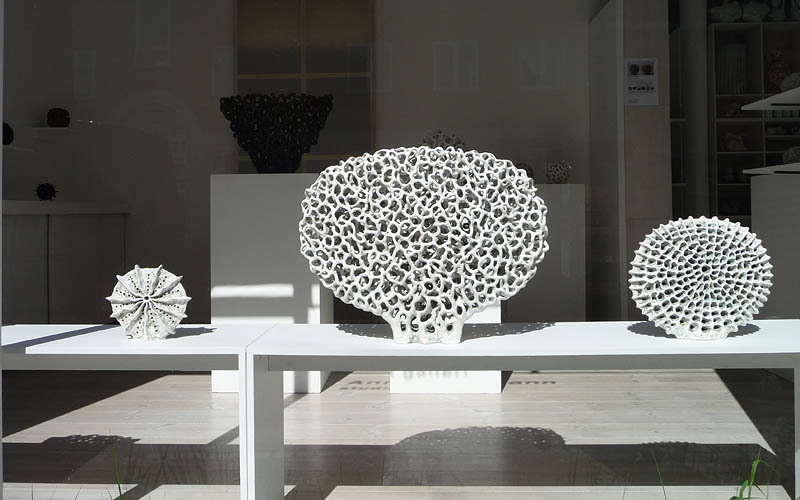 This work is outgrown of my interest in pattern that is suggestive of patterns of growth in the natural world. 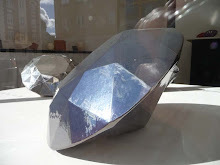 I enjoy transferring ways of thinking about making from one material to another. From simple repeated cuts comes pattern and surface. 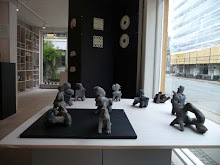 I am looking at the way different cultures around the world change the surface of objects by relief carving." 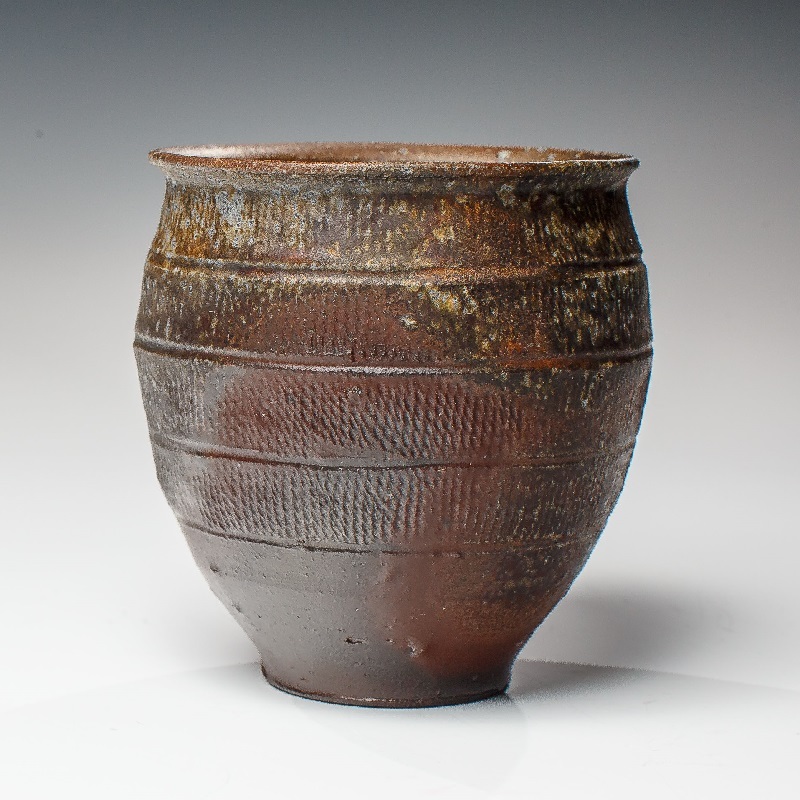 Robert Banker teaches at the Rochester Community and Technical Collage and has his pottery studio in Oronoco, Minnesota 2004-present. He has a MFA University of Minneapolis 1997 - BFA Alfred University, New York USA 1988. Teacher at University of Alaska Anchorage Art Department 1998-2003; Art studies/workshops in the USA, Europe and Denmark;workshop at Tokoname Ceramic Art IWCAT'89 Japan; architecture Ithaca, New York USA 1989-97; Teacher at Langeland Art School 1992/93; Assistant for Warren MacKenzie. 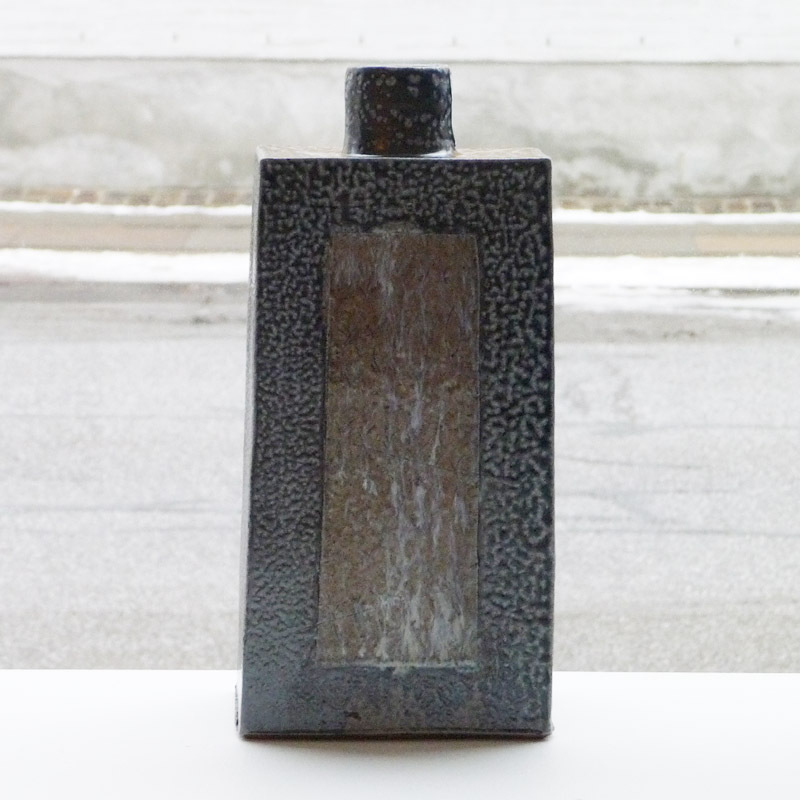 Steven Rolf lives and works as a studio potter in River Falls, WI, creating one-of-a-kind functional pots. 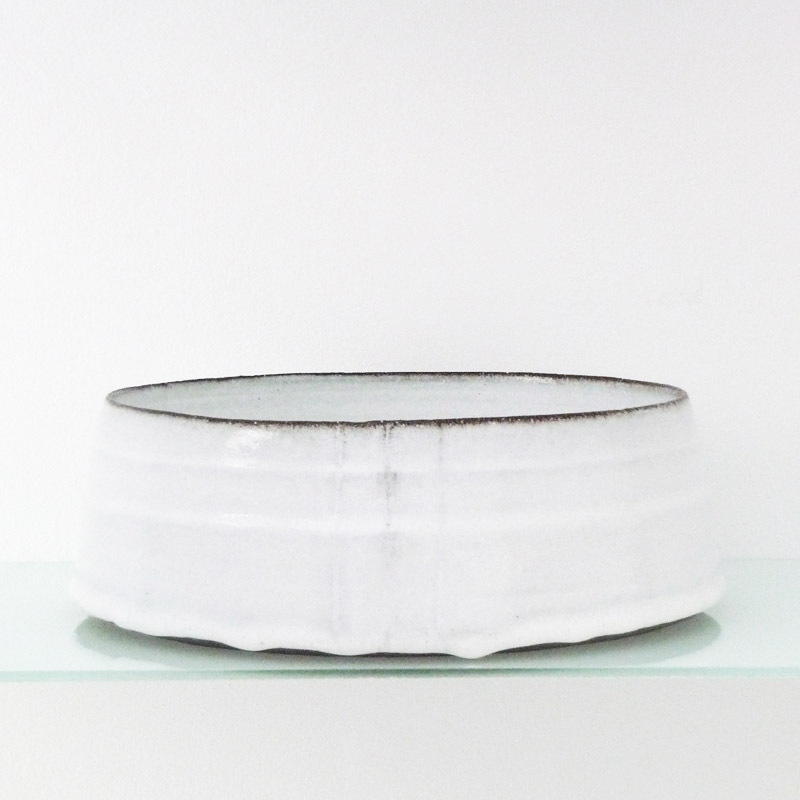 His work reflects an ongoing search to unite his ideas with the generosity and the intimacy that the functional pot offers. He exhibits his work throughout the United States and has received a number of national awards. He also lectures and teaches workshops throughout the country. 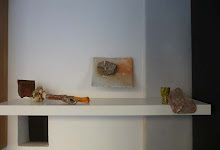 His work resides in noted private and national and international museum collections, as well as numerous kitchen cupboards. Samuel Johnson: “I have been exploring darkness in the work as a metaphor. This current work is produced by reducing oxygen from the cooling phase of the firing and bathing the work in smoldering wood embers.. producing bands of color, iridescence, and dark surfaces that seem like shadow or silhouettes. 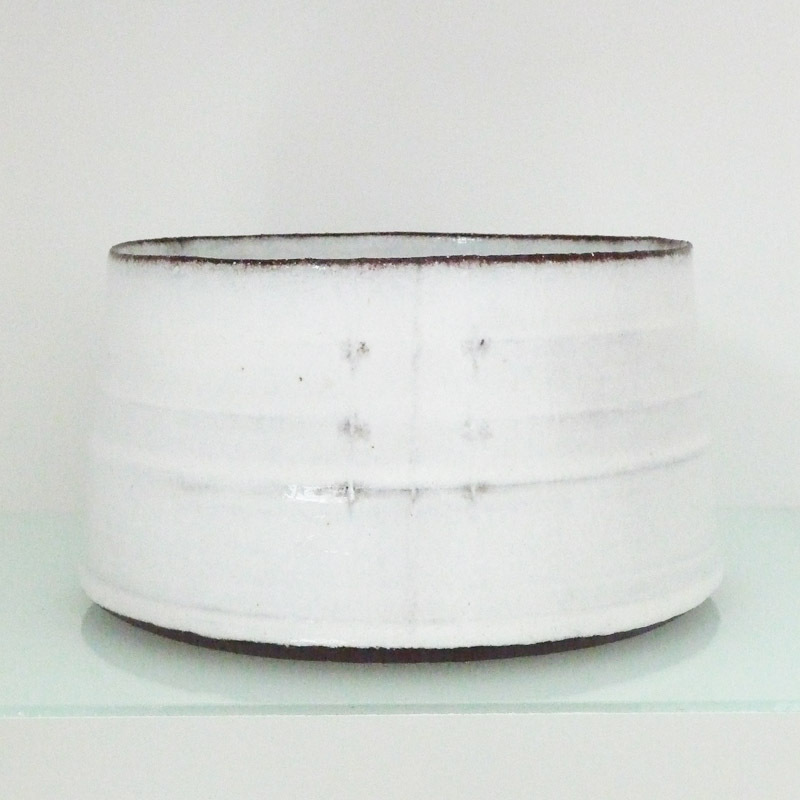 The work is unglazed and raw.. quietly confrontational. Meditative. Still. We have a capacity for reason and mathematical precision and yet are also half wild, full of biological and spiritual mysteries which drive our impulses despite existing, often, beneath consciousness. Poets refer to this as shadow – those aspects of our personality, our humanity, which are hidden from us. Samuel Johnson is Associate Professor of Art at the College of Saint Benedict and Saint John’s University. 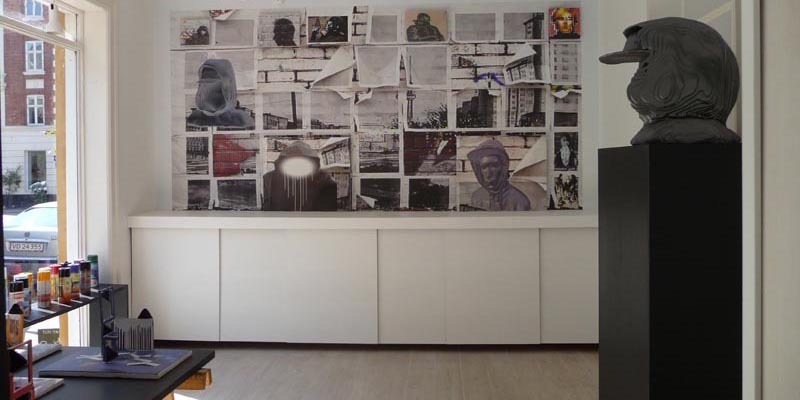 He has participated in several exhibitions and solo exhibitions. His work is in the permanent collection of the North Dakota Museum of Art and featured in the book, Stoked: Five Artists of Fire and Clay, Ceramics Now (2014), and the forthcoming, Mastering the Potter’s Wheel (2016). Samuel grew up on the western prairie of the Red River Valley, outside of Breckenridge, Minnesota in 1973. 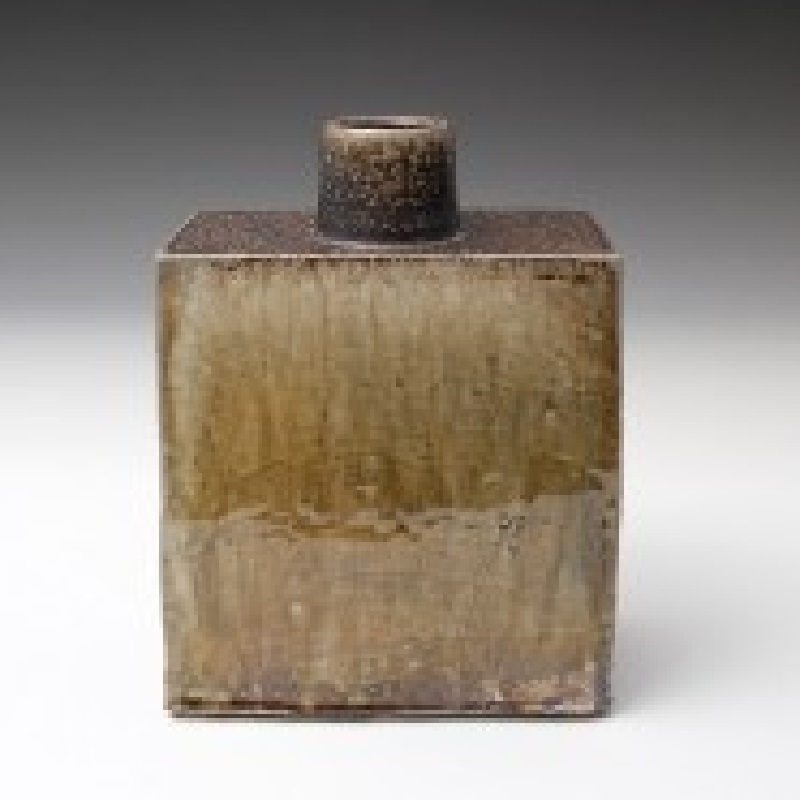 Before earning his MA and MFA from the University of Iowa (2005), he apprenticed with Richard Bresnahan (1996-1999), studied ceramic design at the Danish Design School in Copenhagen, Denmark (2000), and worked in Japan as a studio guest of Koie Ryoji (2001). He lives in rural St. Joseph, Minnesota, with his wife, Anne, and their four children, Harriet, Jesse, Ingrid, and Francine. Randy Johnston: “My work has specific modern connotations and addresses the development of abstraction within the aesthetic of utilitarian objects. Essential to a strong representation of each form is a feeling for its overall spatial structure. High fire reduction firings in wood and gas. 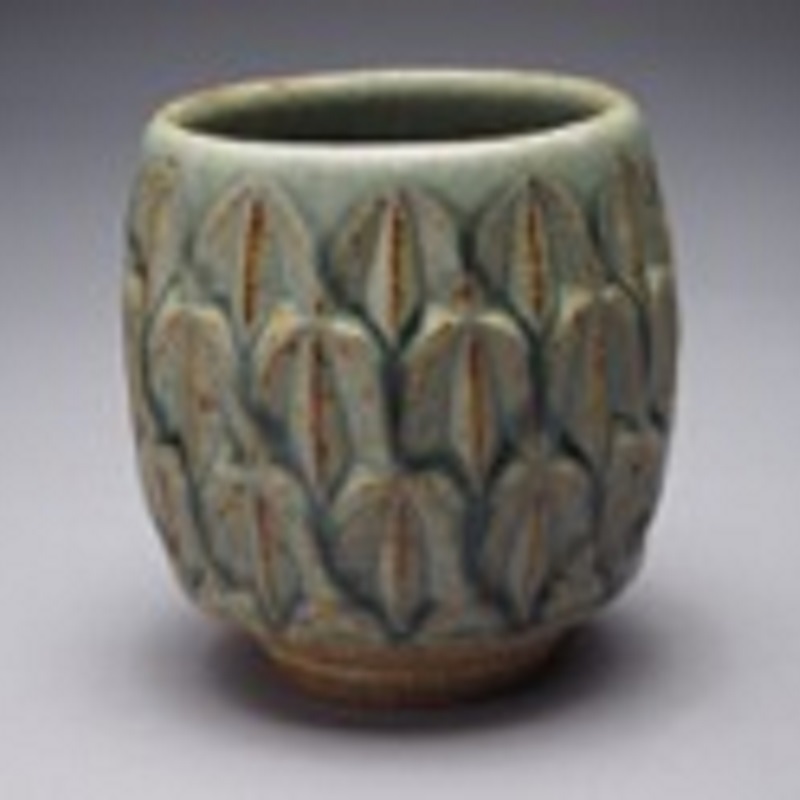 Randy Johnston has been working in ceramics for more than thirty years. 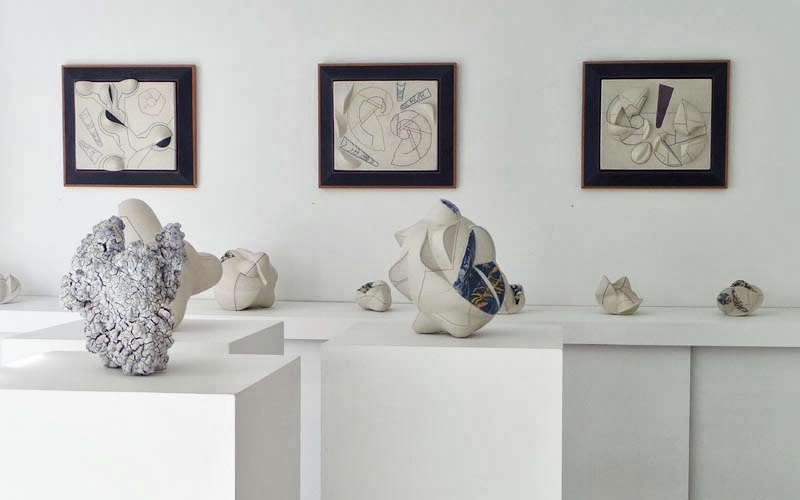 He is recognized internationally as an artist, who has pursued functional expression and brought a fresh aesthetic vision to contemporary form, and for his many contributions to the development of wood kiln technology in the United States. He is currently a professor at the University of Wisconsin - River Falls. His work is exhibited internationally, and he is the recipient of numerous awards including Visual Artist Fellowships from the National Endowment for the Arts. Johnston received his MFA from Southern Illinois University and a BFA in Studio Arts from the University of Minnesota where he studied with Warren MacKenzie. 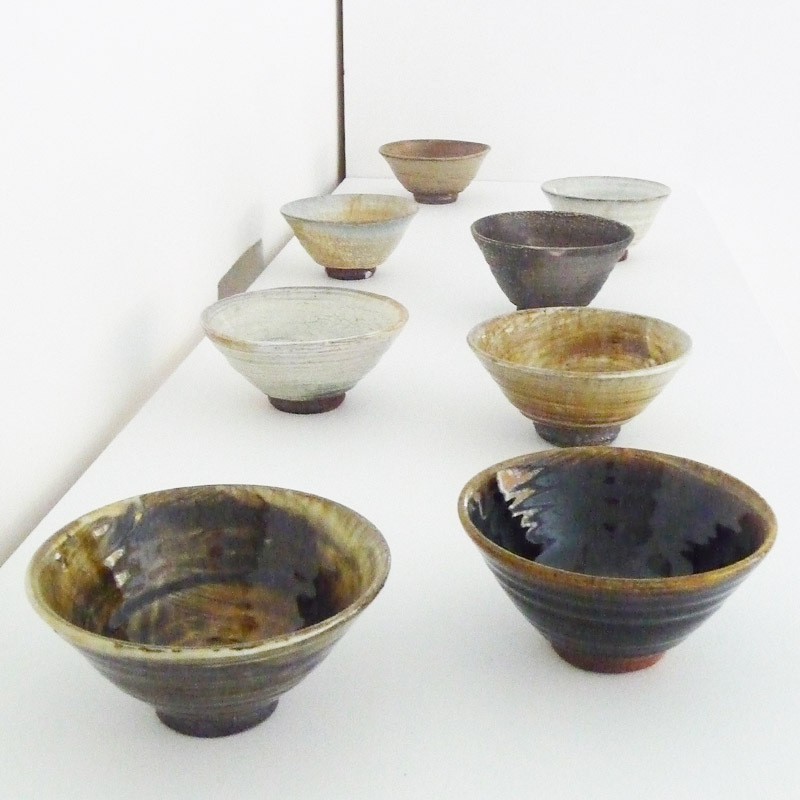 He also studied in Japan at the pottery of Shimaoka Tatsuzo who was a student of Shoji Hamada. 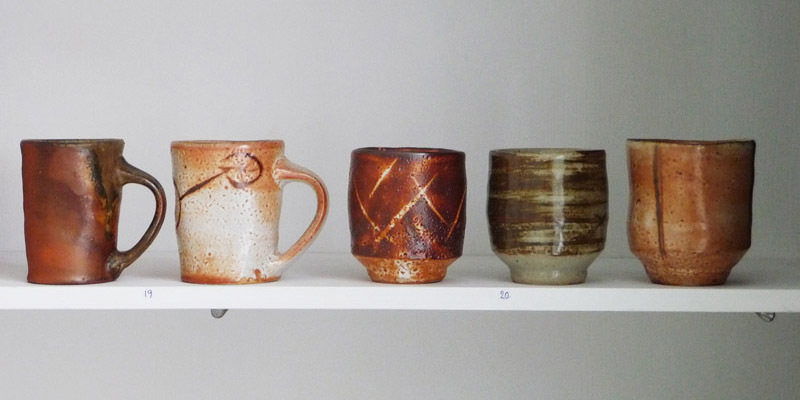 Linda Christianson: “My daily practice begins with the making of 4 cups. 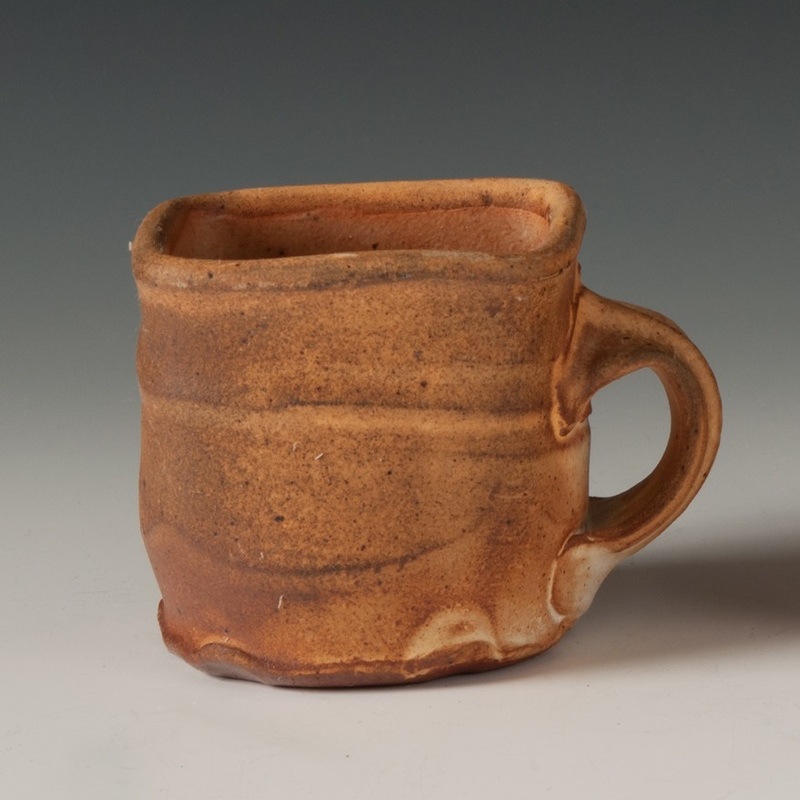 While seemingly a simple form, the cup contains all the challenges I like: the pairing down of an essential lively form, comfortable feeling yet visually compelling, and a volume that suggests a specific liquid. 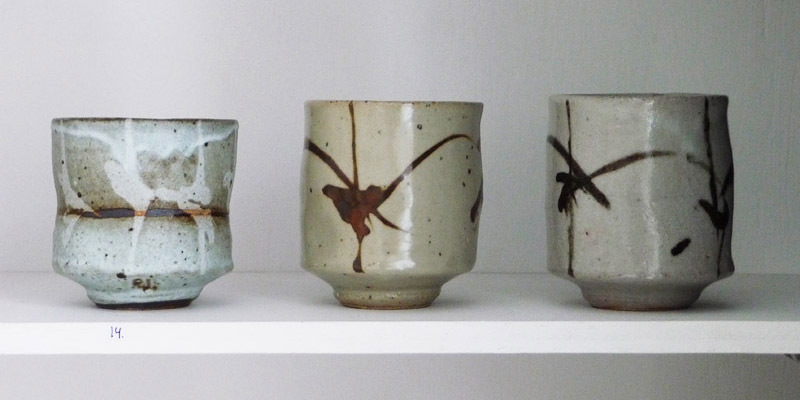 Being put to the lip, the cup is the most dauntingly personal pot one could make. It has the capacity to change one's daily life. In my household, the favorite cups never make it into the cupboard. Their life moves from dish drainer to hand to sink and back to drainer. The best cups always end up in the shard pile, for they are loved to death. 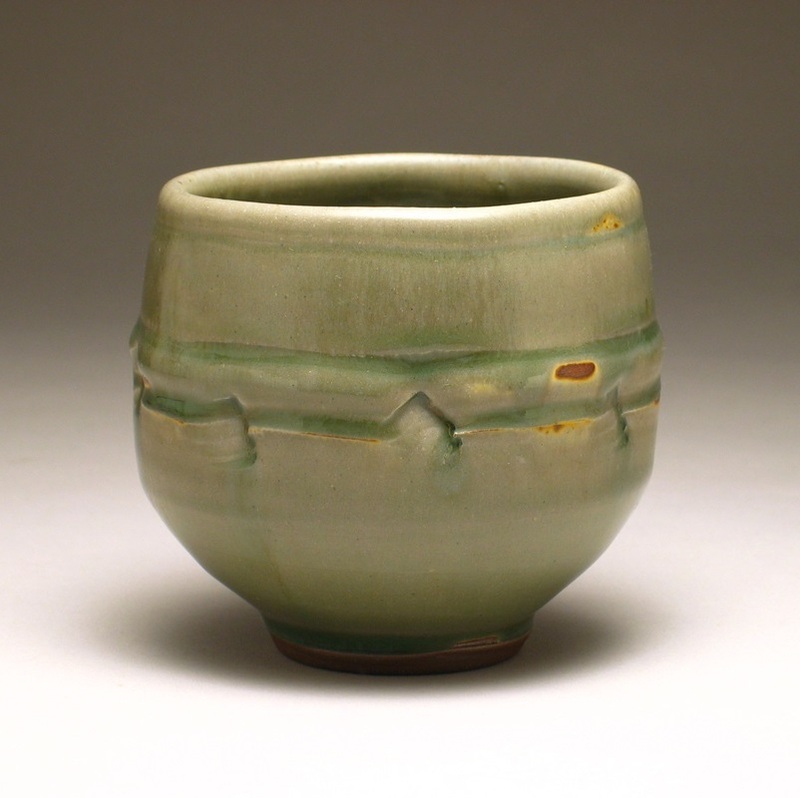 Linda Christianson is an independent studio potter who lives and works in rural Minnesota. 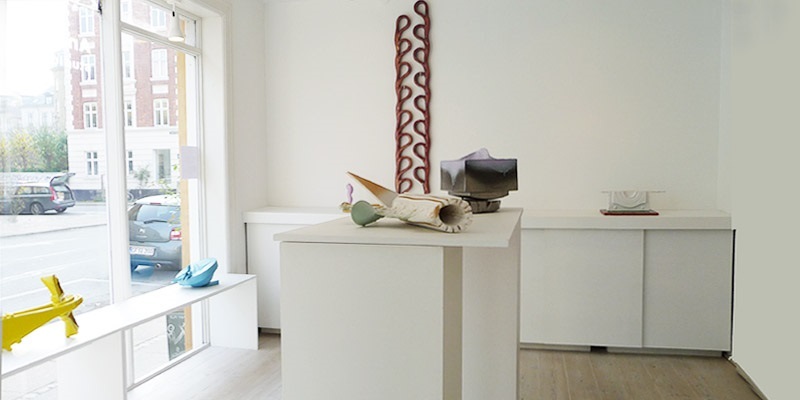 Jan McKeachie: “My intent is that these pieces stand alone as visual objects.. move beyond that to express emotional, sensual, tactile, spiritual, and ritual sensibilities.. enhanced by the communication and sharing that occurs through use. It is important to me that my work be integrated into daily life.. the simplest cup may become a very important and enriching object in ones daily existence. 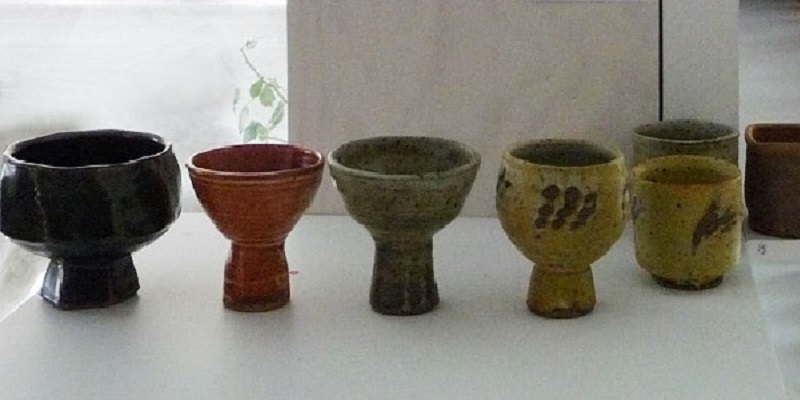 These cups are made from stoneware clay, thrown on a Leach style treadle wheel, and fired to cone10 in either a gas reduction firing or wood firing. 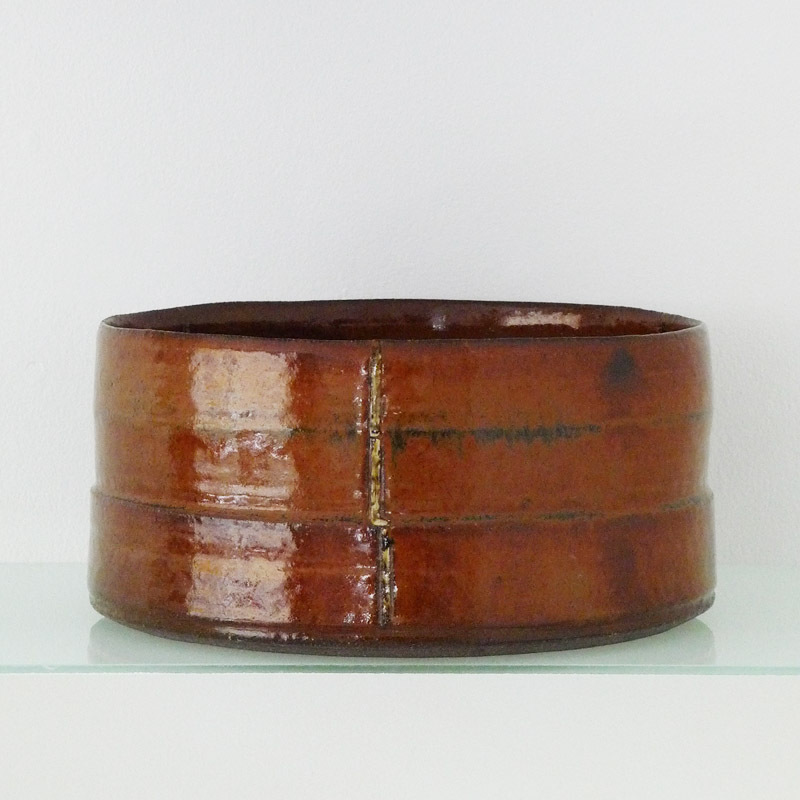 Guillermo Cuellar: “Utilitarian hand made studio pottery. I believe exquisite beauty can be found in unique pieces made for use. All my work is based on function. 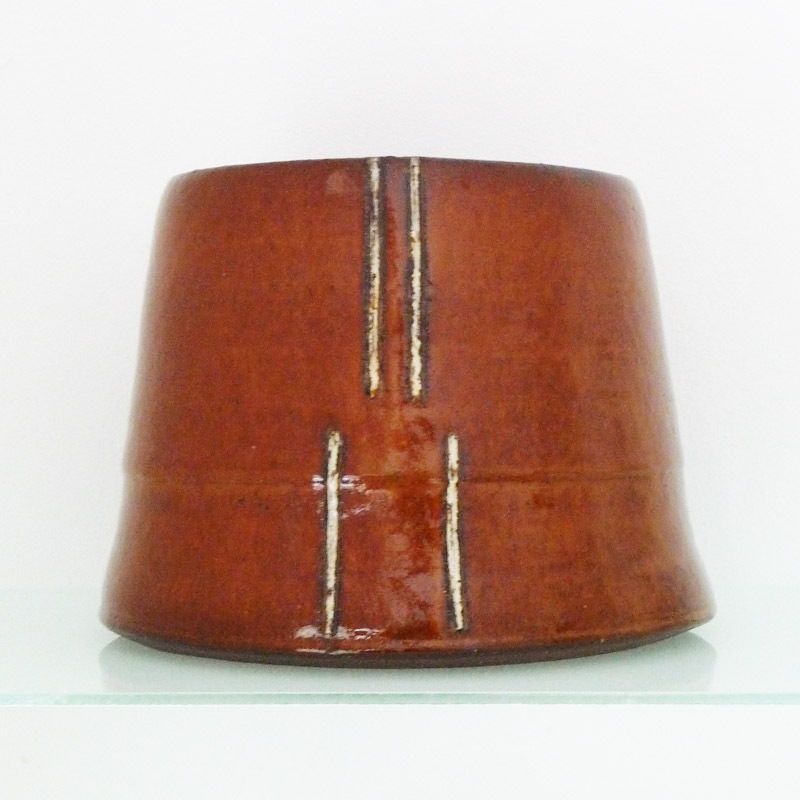 Forms, glazes and decoration evolve gradually over time based on variations on functional traditional themes. It is unusual to find artwork that is meant to be used and handled and intimately appreciated for tactile qualities as well as visual. Art should not be separate from our lives, confined to galleries, or behind glass. 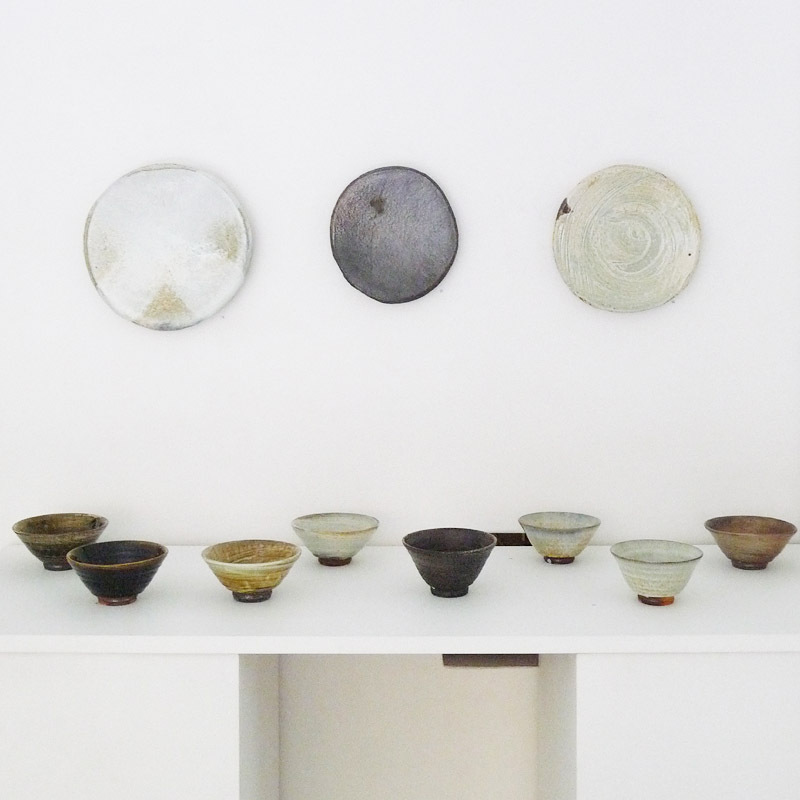 Inspiration is drawn principally from historical work of Korean, Japanese, American and European origin. Guillermo Cuellar was born in Maracaibo, Venezuela in 1951. He grew up in Caracas and in the early ’60s he traveled to the United States. 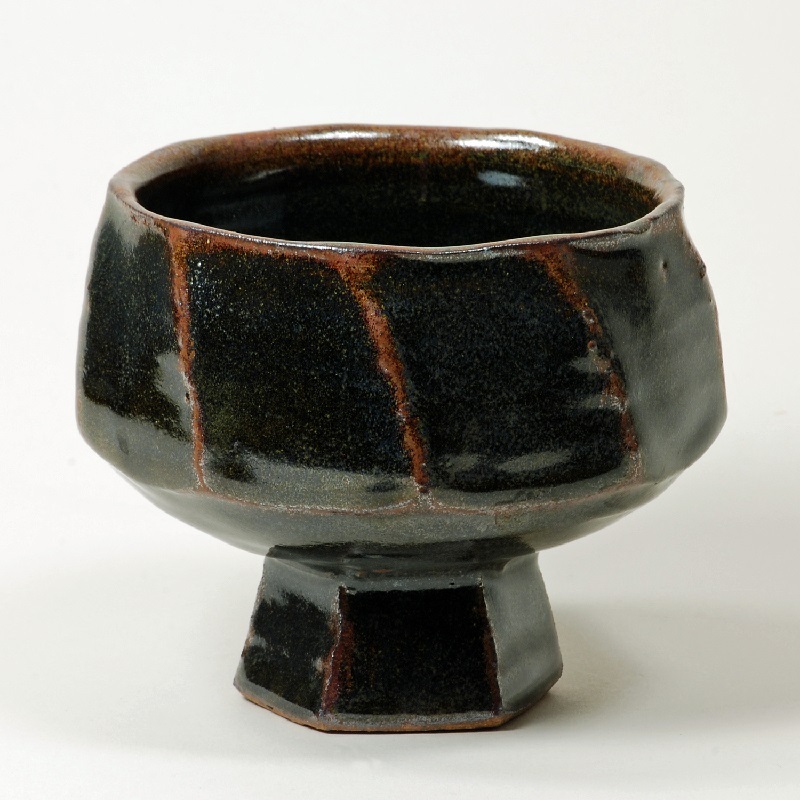 He studied ceramics at Cornell College, Mt. Vernon, Iowa, where he majored in Art, French and Geology, graduating in 1976. 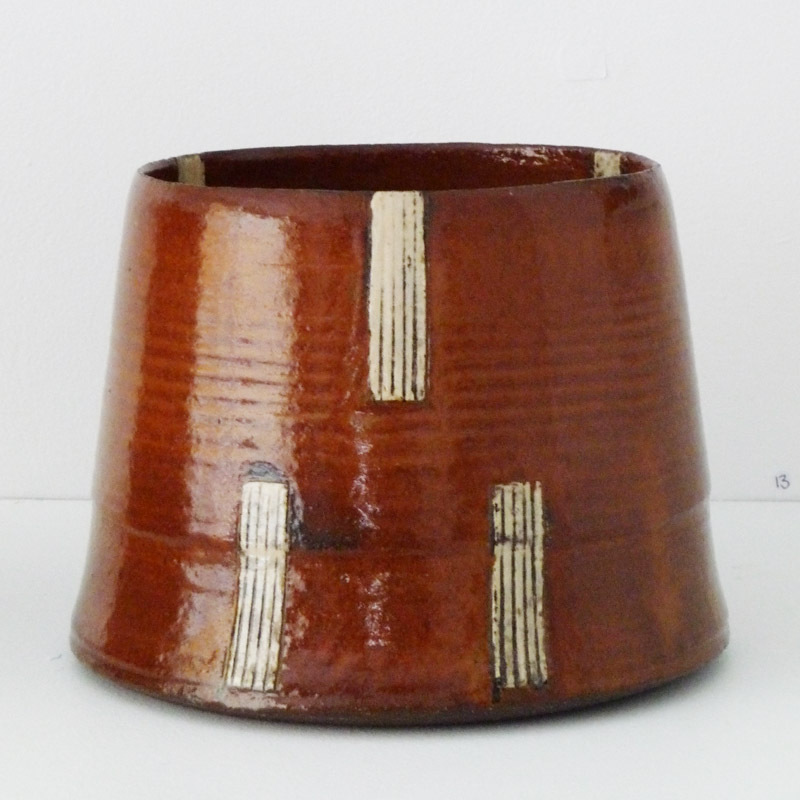 In 1986 he set up a studio in the village of Turgua, southeast of Caracas, where he made pots for sixteen years. In 1981 he worked as assistant to Warren MacKenzie, who was teaching in Caracas and with whom he regularly shared workshop experience from 1984 to 2006. Guillermo has taught workshops sponsored by the Venezuelan Association of the Arts of Fire and assisted in those given by MacKenzie, Linda Christianson, Randy Johnston etc. 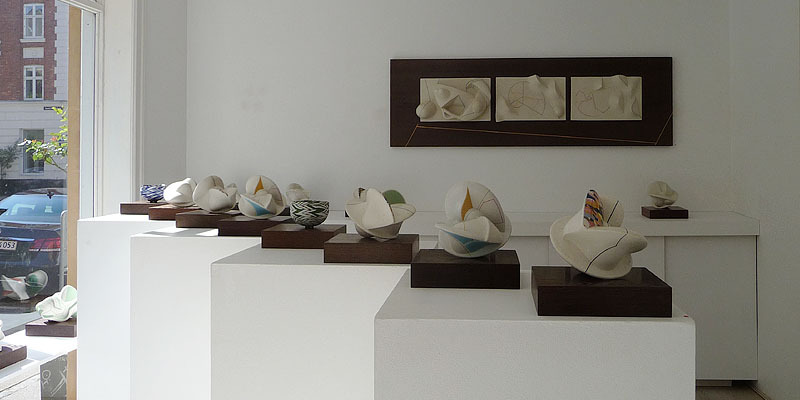 His work has been on display in the Venezuelan National Art Gallery, Museo de Arte Contemporaneo de Caracas Sofia Imber, Museo de Arte Contemporaneo de Puerto Rico, Smithsonian Institution, Northern Clay Center Minnesota and private galleries in the United States, England, Venezuela, and Chile. In 2005 he moved to the upper St. Croix river valley near Shafer, Minnesota. Here he established a home and studio. COLLECTIONS Kunstindustrimuseet - Kunstmuseet Trapholt, Kolding - Keramikmuseet Grimmerhus - Museum Kruithuis, Hertogenbosch, Holland - Schleswig-Holsteinisches Landesmuseum, Gottorp Slot - Birmingham Museum of Art, Alabama, USA - Statens Kunstfond - Ny Carlsbergfondet - Private samlinger i Europa, USA og Japan. 2013 The International Chasabal Festival, Mungyeong, South Korea 13, 12, 11, 10, 09, 08. 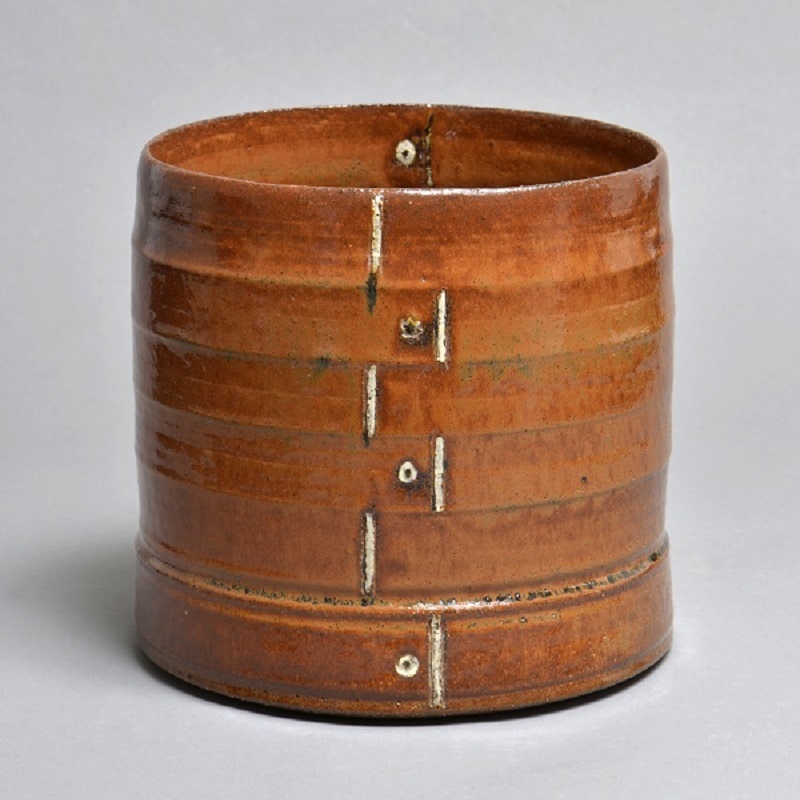 In the United States there is a potter who, maintains, by his way of life, the Mingei Movement theorized and advocated by Soetsu (Muneyoshi) Yanagi (1889-1961), founder of the Mingeikan (the Japan Folk Crafts Museum). 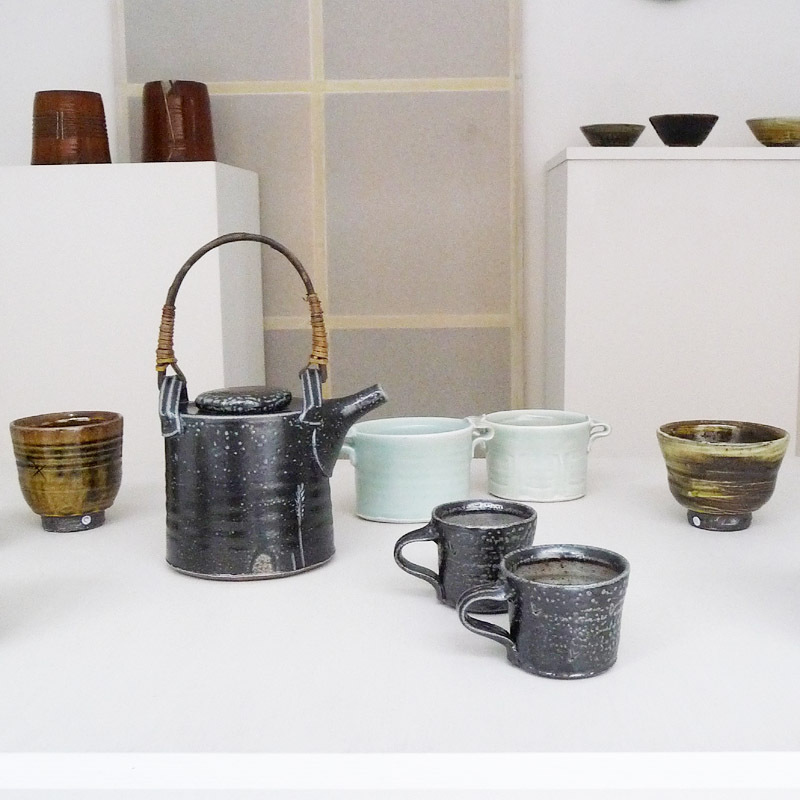 In 1950 he went to England to study with Bernard Leach, a Japanese-trained potter credited with reviving ceramics in England and forging a merger between Eastern and Western ceramic traditions. 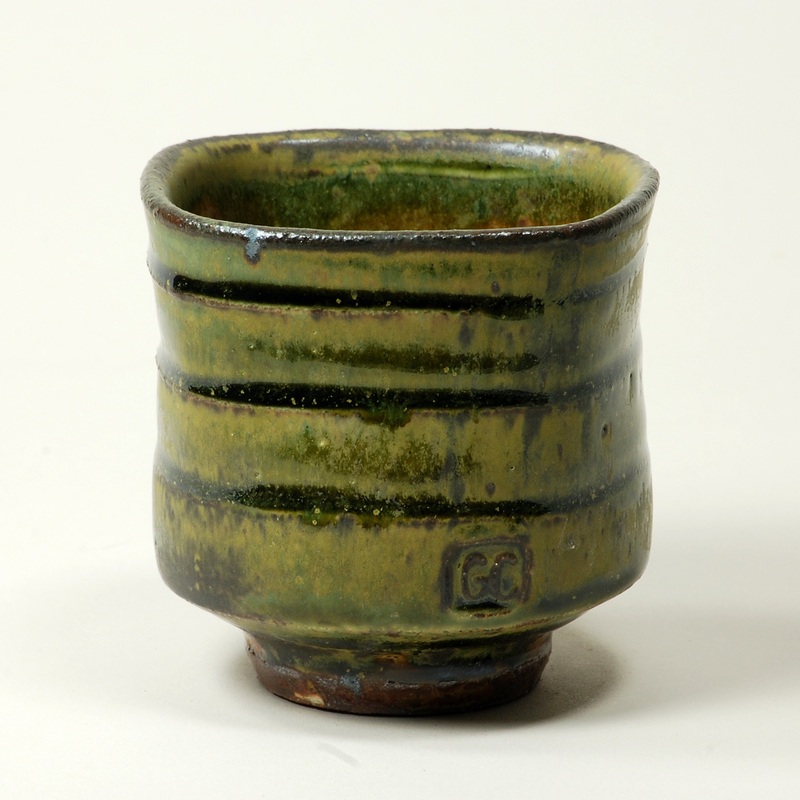 Leach, along with Shoji Hamada, were close friends of Yanagi and strong supporters of the Mingei Movement (in Japan). 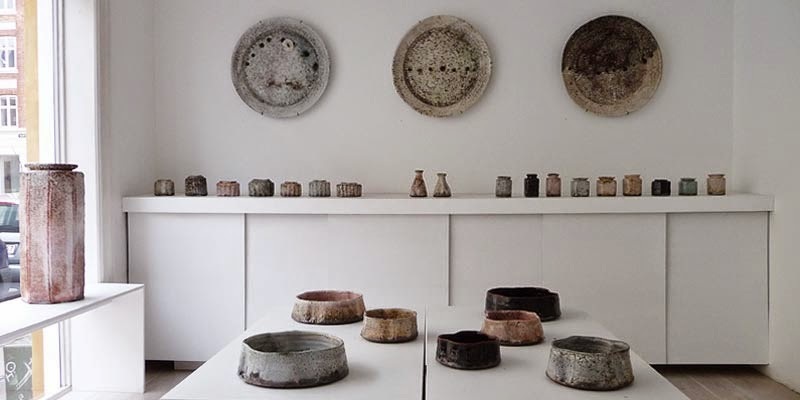 The first Americans to study with Leach, MacKenzies spent two years living in his house and working at his St.Ives pottery studio. 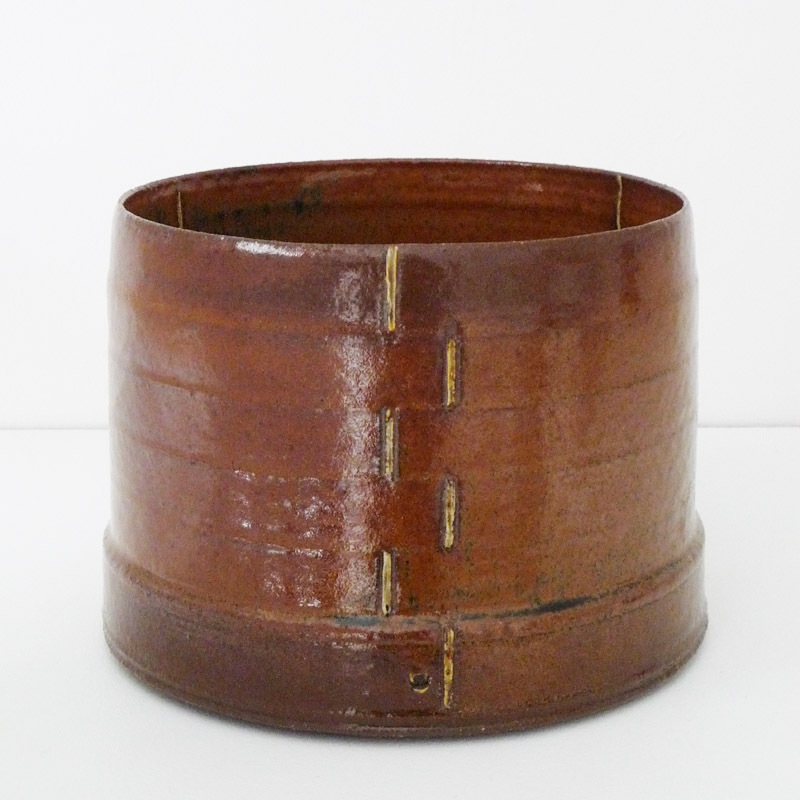 During this period, MacKenzie came into contact with the works of Hamada because of the many Hamada pots that Leach owned. In 1952, Hamada, Yanagi and Leach went to the US to give lectures. One of their stops was St.Paul (Minnesota), where MacKenzie had the opportunity to meet all in person. 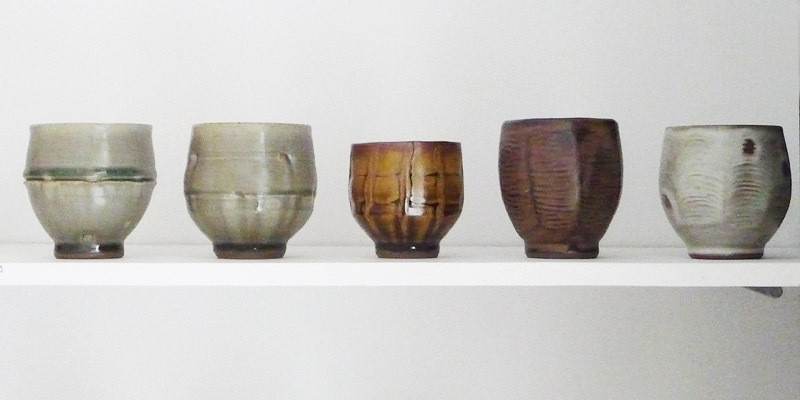 Although he did not formally study with Hamada, MacKenzie is so closely identified with the aesthetics of Yanagi, Leach and Hamada that he and his students have earned the nickname of the 'Mingei-sota' movement, from Mingei, a term coined by Yanagi meaning arts and crafts made for and by the people, and Minnesota. 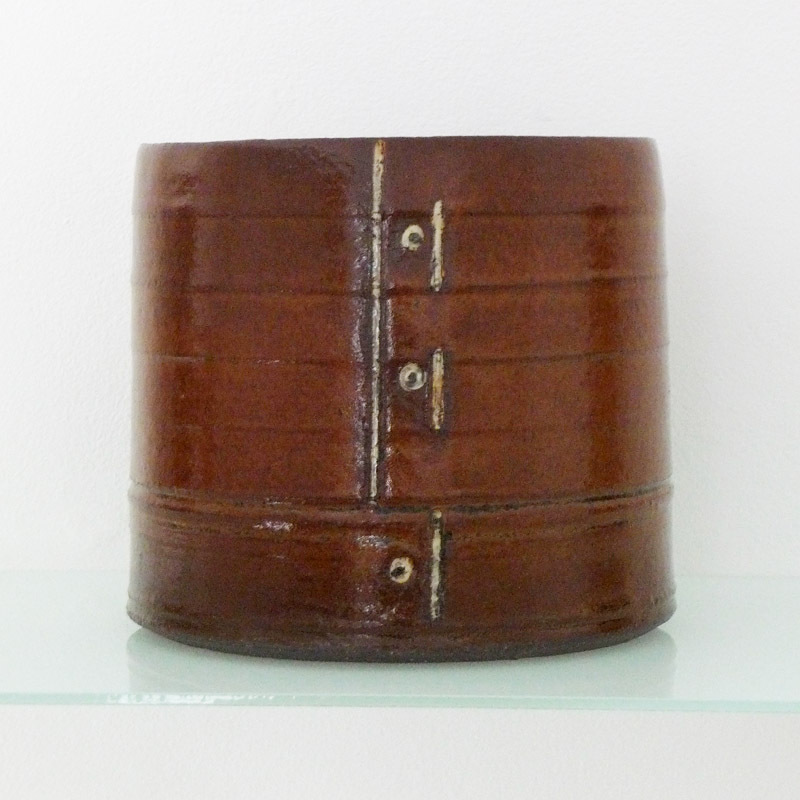 The spirit of Mingei has been carried on from Soetsu Yanagi and Shoji Hamada to Bernard Leach and from him to Warren MacKenzie. This spirit has become Mingeisota' and is flowering and bearing fruit in Minnesota. 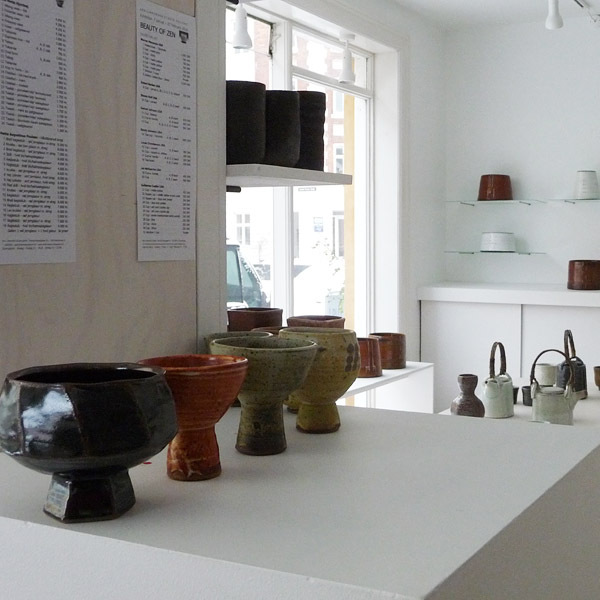 “I think it is a wonderful term because it does express an attitude that prevails among the potters around here, both in type of pot and the price charged,” MacKenzie says. 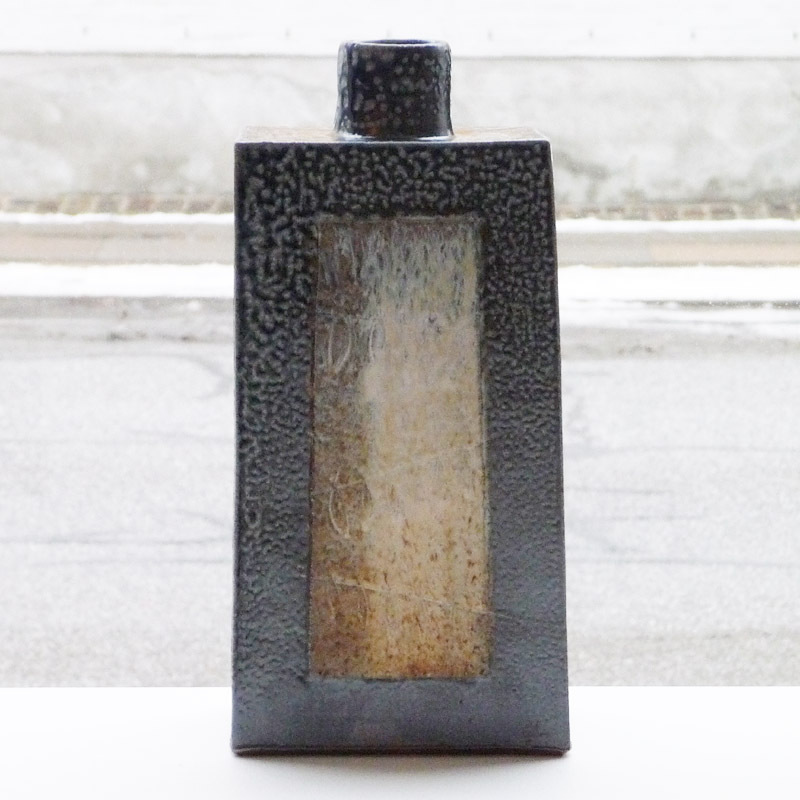 PROFFESSIONAL EXPERIENCE Tokoname Ceramic Art IWCAT'89 Japan, arkitektur Ithaca, New York USA 1989-97, Teacher Langelands Kunsthøjskole 1992/93, Assistant for Warren MacKenzie 1996, Teacher at University of Alaska Anchorage Art Department 1998-2003, Rochester Community College Art Department 2003-present. 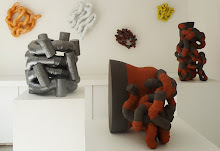 Art studies/workshops in the USA, Europe and Denmark. Own pottery studio in Oronoco, Minnesota 2004-present. 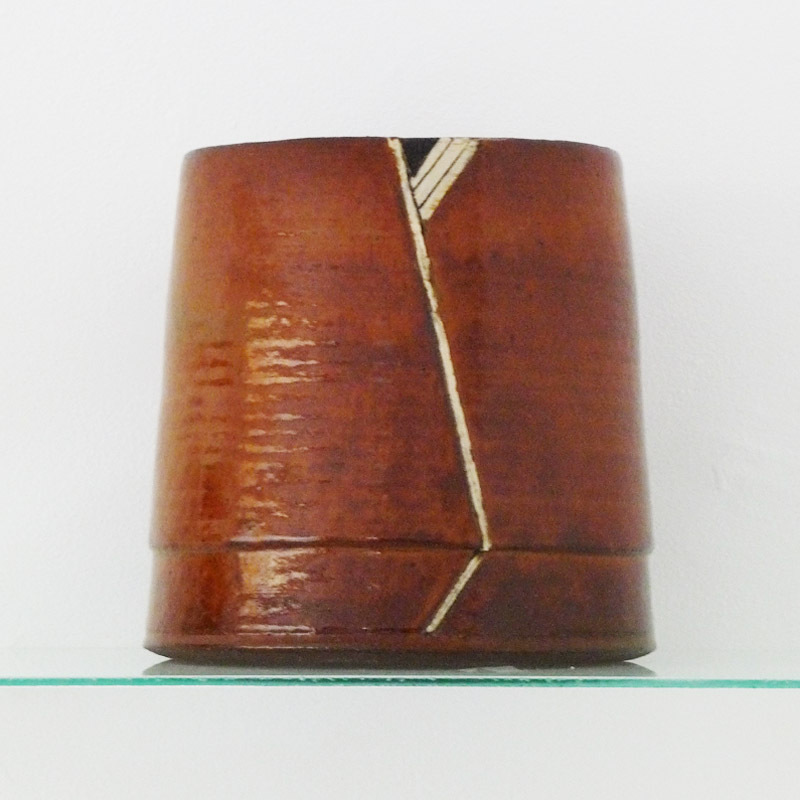 1975 Pottery of Shimaoka Tatsuzo who was a student of Shoji Hamada Mashiko, Japan. 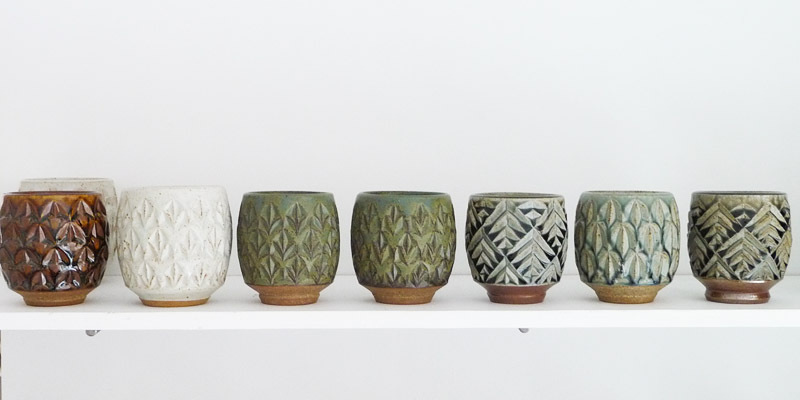 EDUCATION - Studied ceramics at The University Of Minnesota, The University Of Illinois at Edwardsville, and received my BFA from The University of Wisconsin at River Falls. SELECTED EXHIBITIONS - Recent exhibitions include Relativity, Lacoste Gallery, Concord, MA,Heart To Hearth,TRAX Gallery, Berkeley, CA, Roy Forbes Selects, Frank Lloyd Gallery, Los Angeles, CA Her work has also been featured in Clay Times and Ceramics Monthly, and she is represented in many private and public collections, including the Chrysler Museum, Norfolk, Virginia; the Weisman Art Museum at the University of Minnesota; and the Minneapolis Institute of Art. PROFESSIONAL - Teaching workshops at Art Centers such as Anderson Ranch, Snowmass Colorado, Curaumilla Art Center, Chile has been a very fulfilling part of my career. MFA from the New York State College of Ceramics at Alfred University, a BFA from the Kansas City Art Institute, and a BS in Broad Area Arts from the University of Wisconsin River Falls. 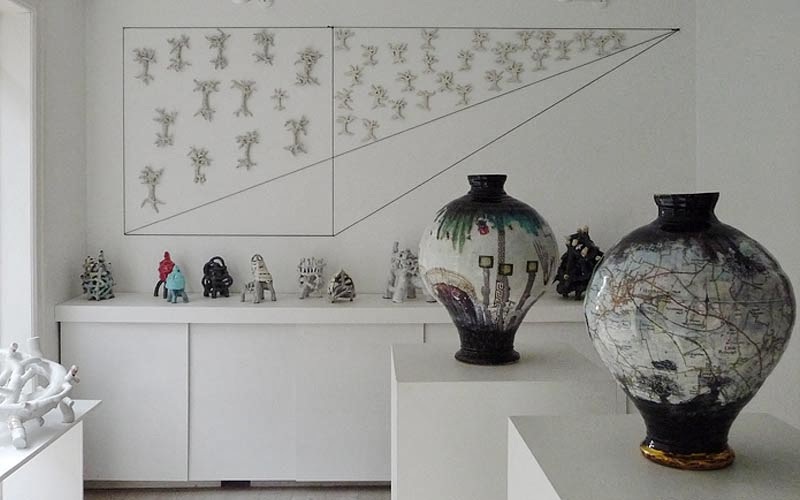 He also apprenticed under Wang Hui Ming, a master painter and wood engraver.